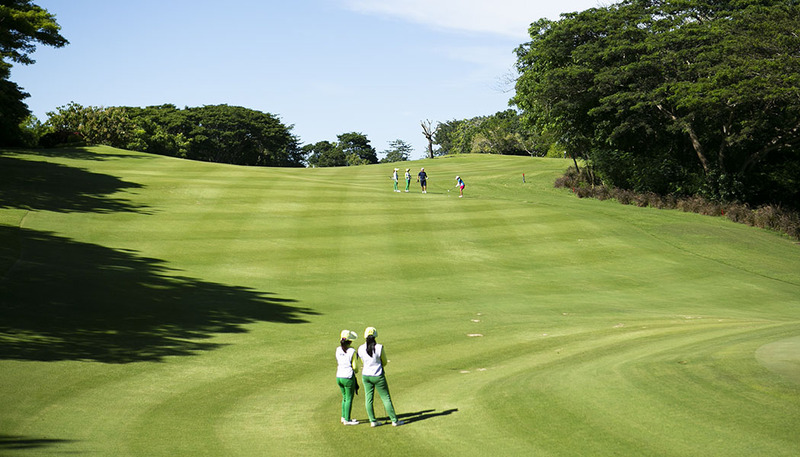 We never walk (or play) alone. 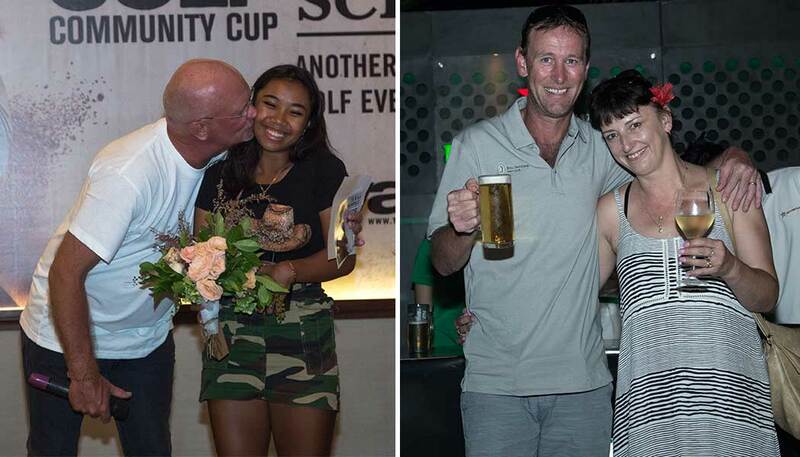 They came, they swung, they won prizes. 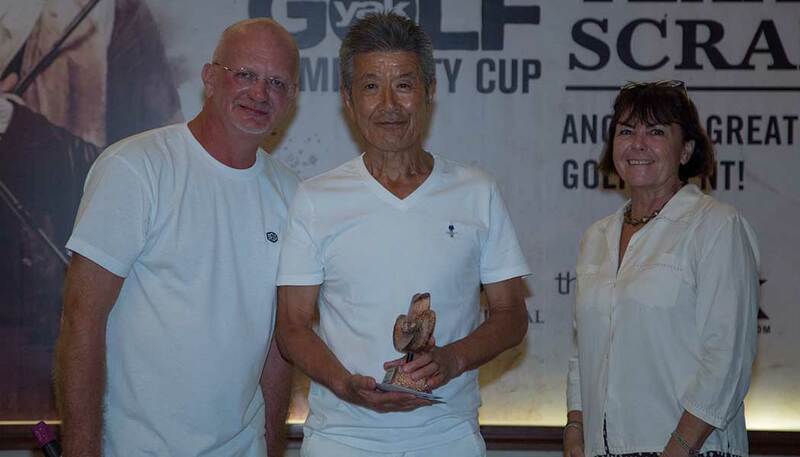 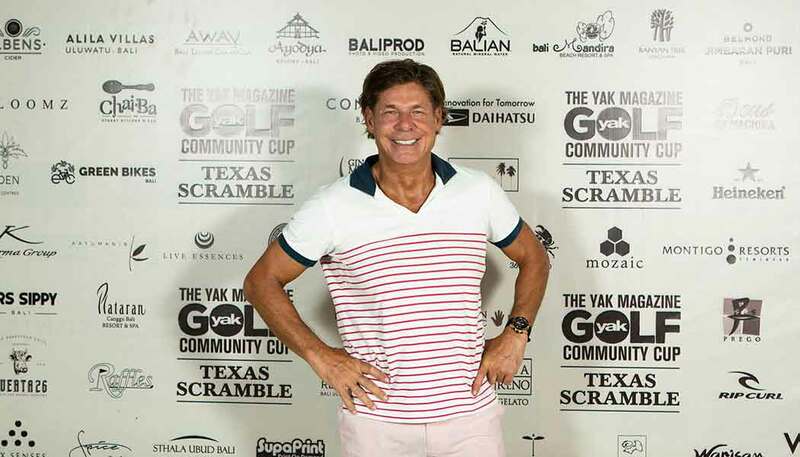 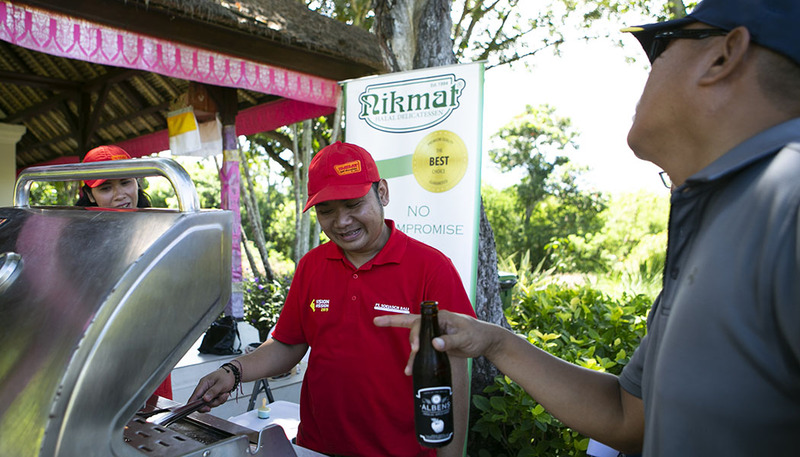 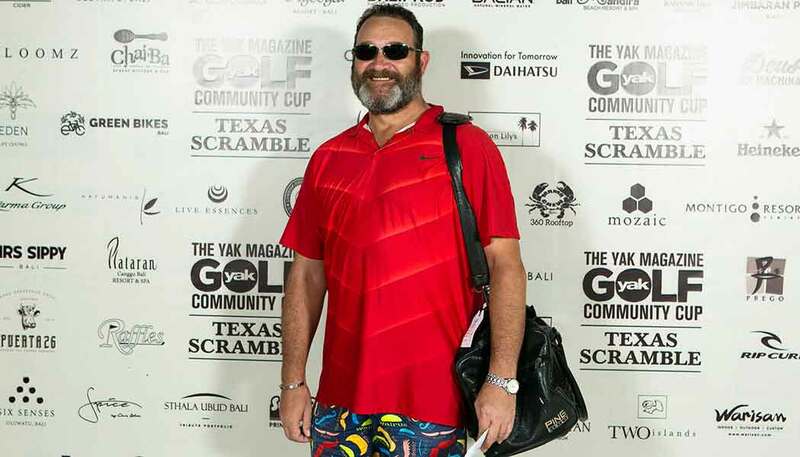 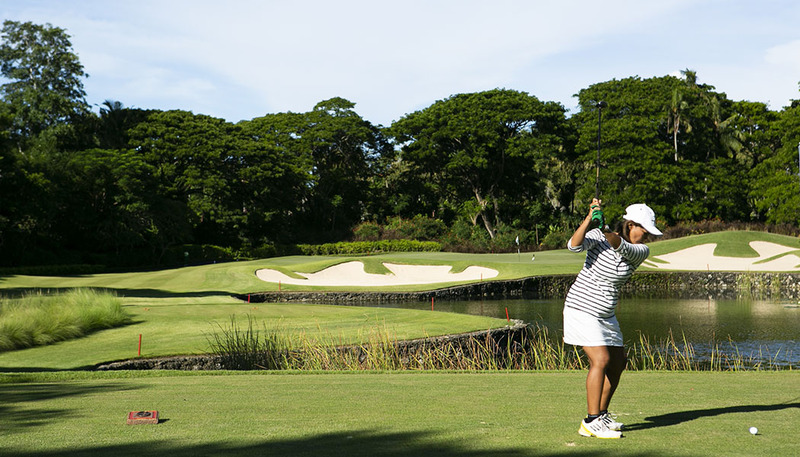 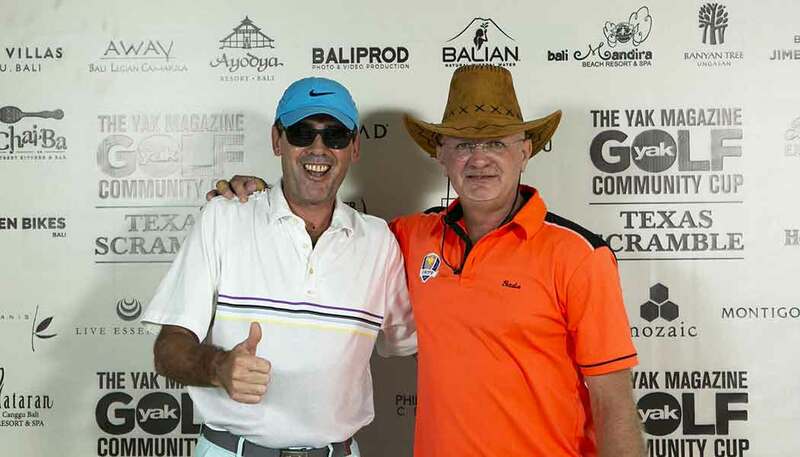 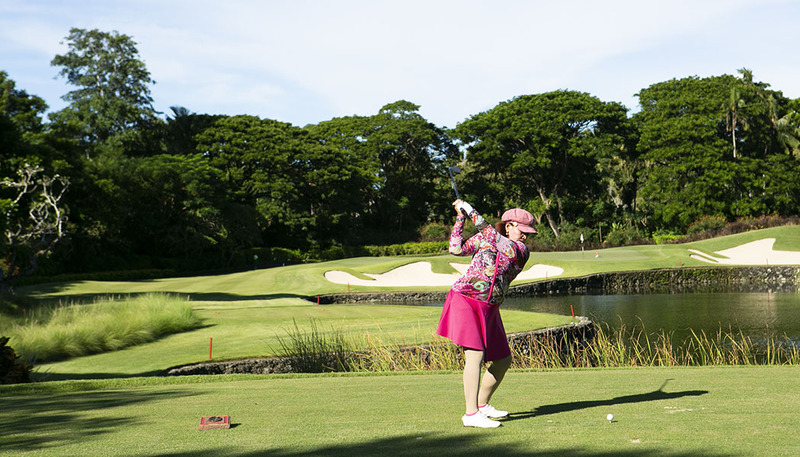 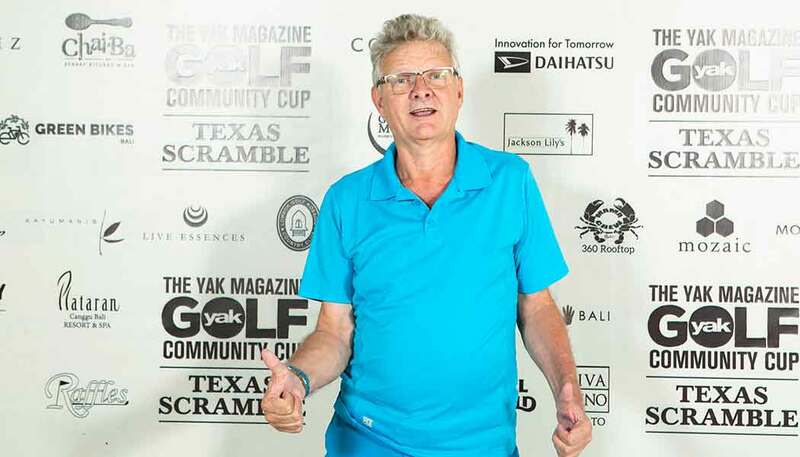 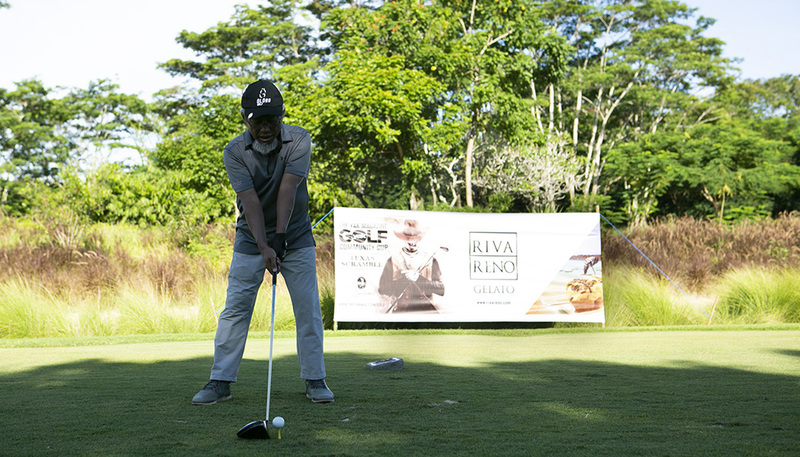 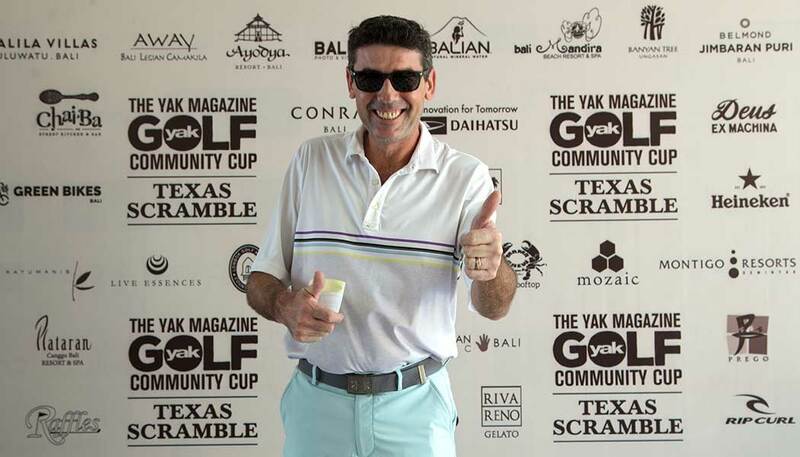 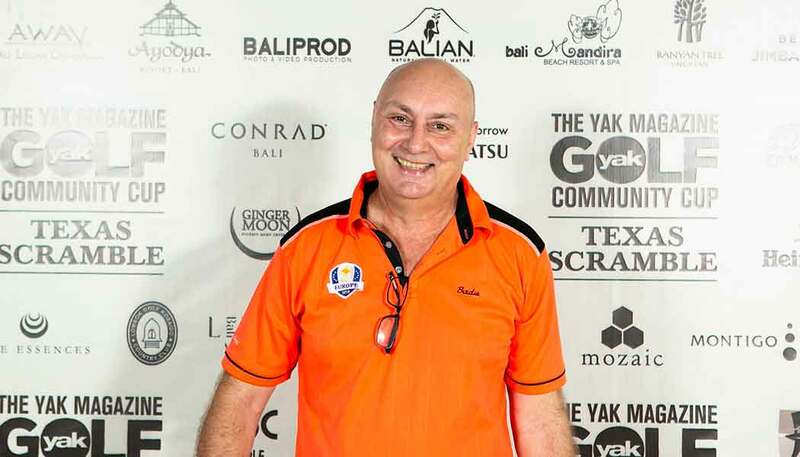 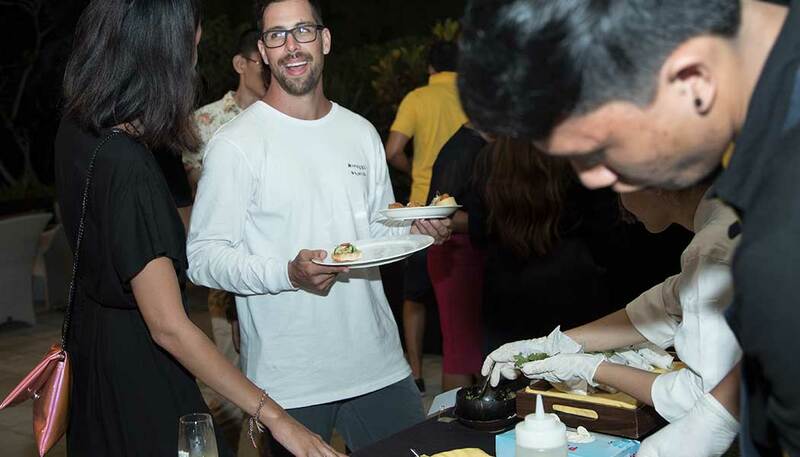 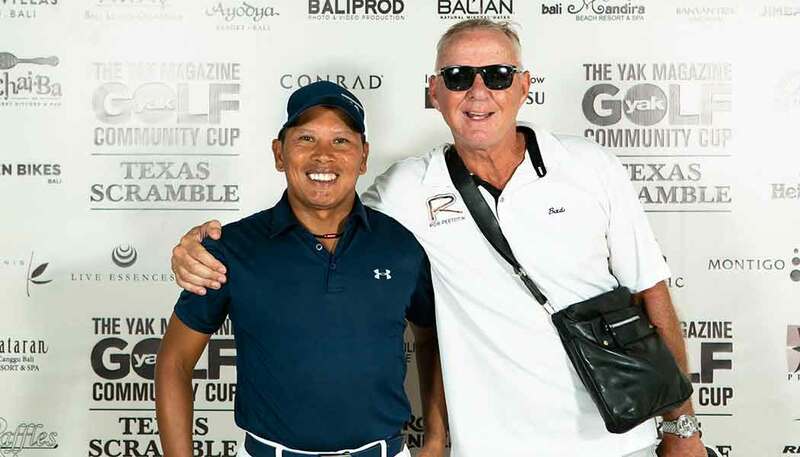 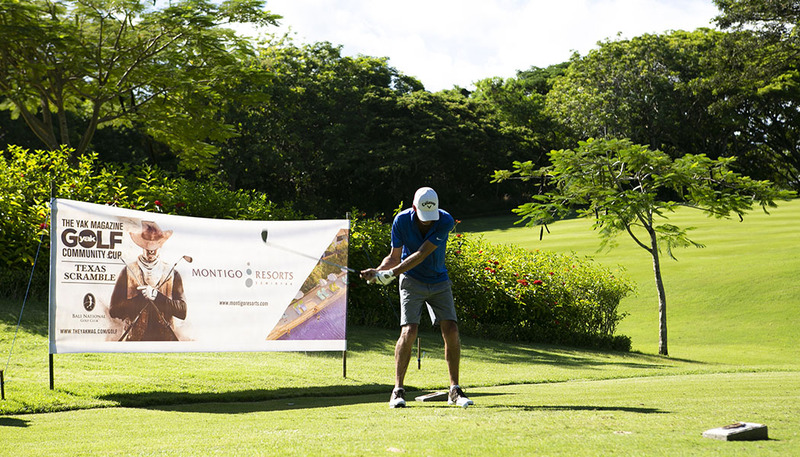 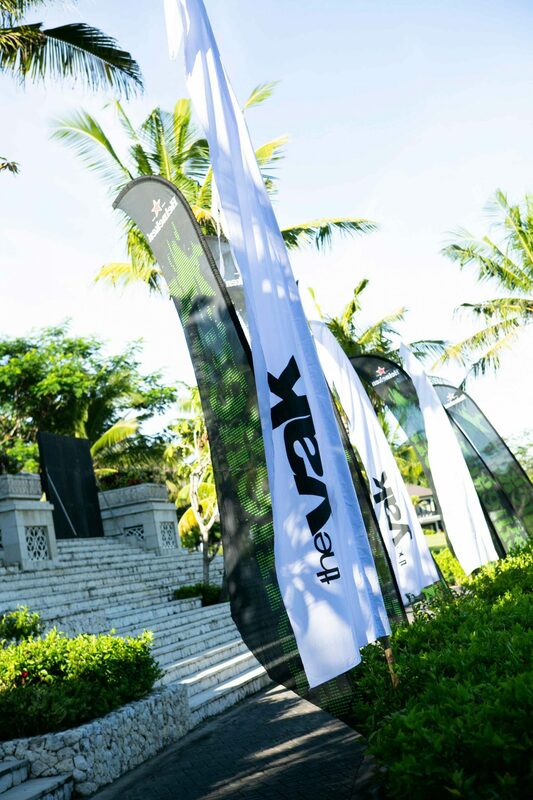 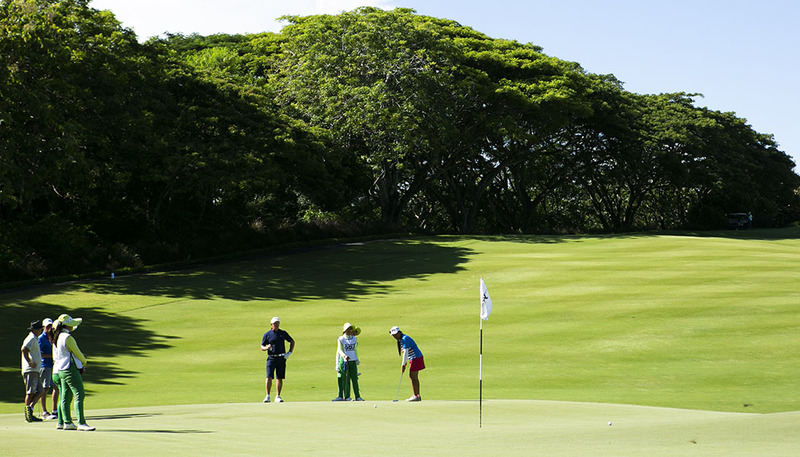 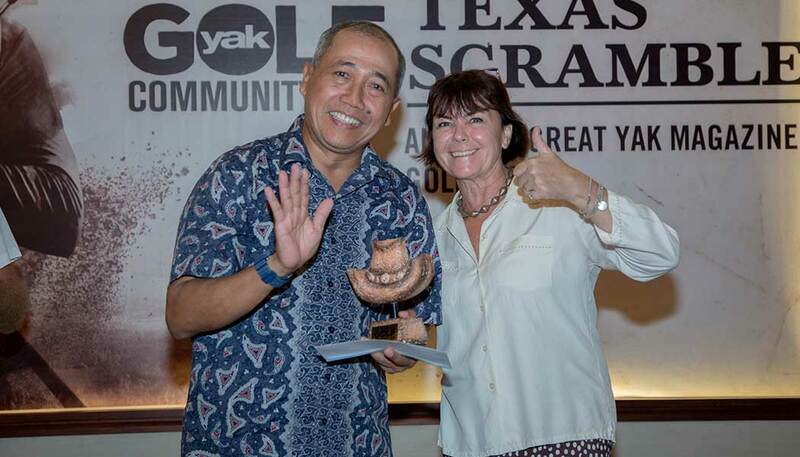 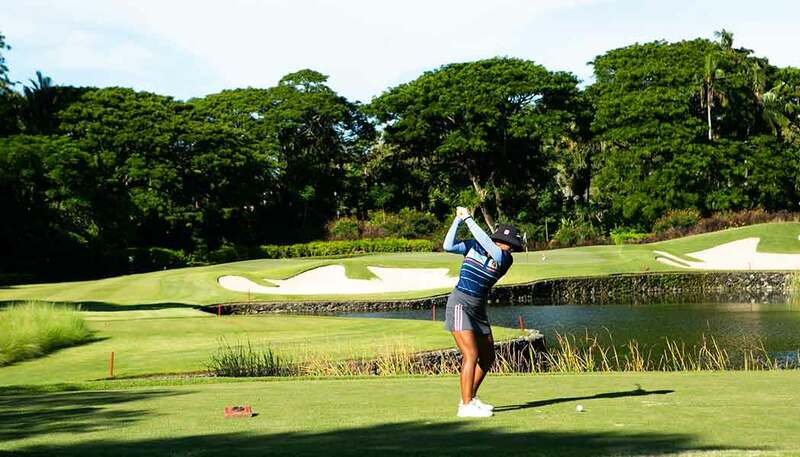 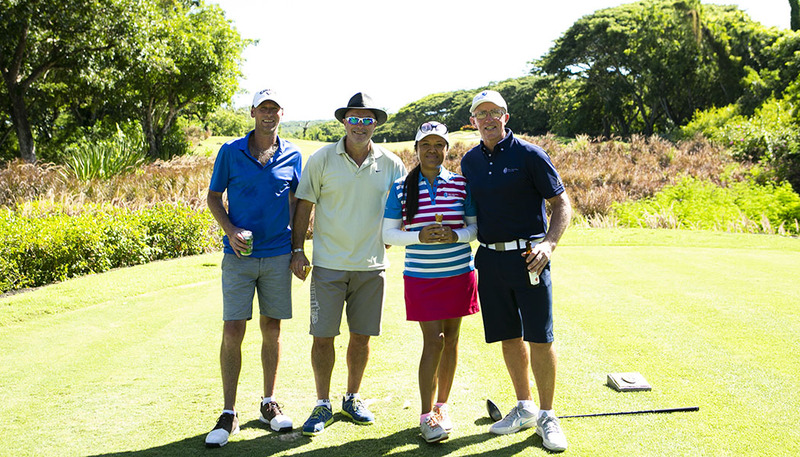 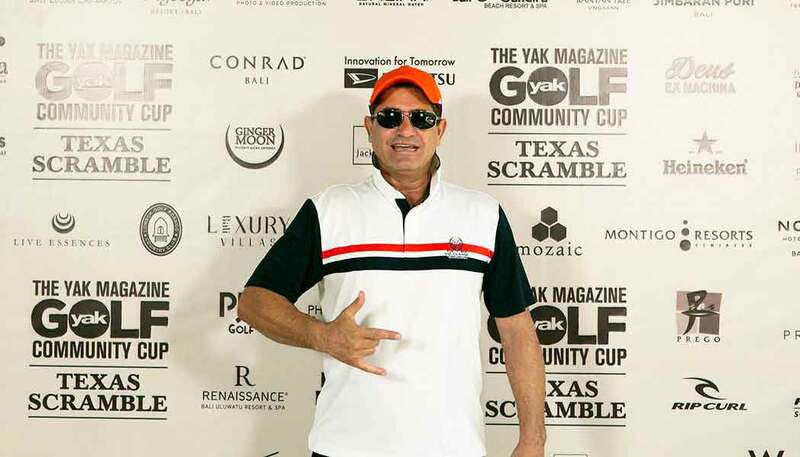 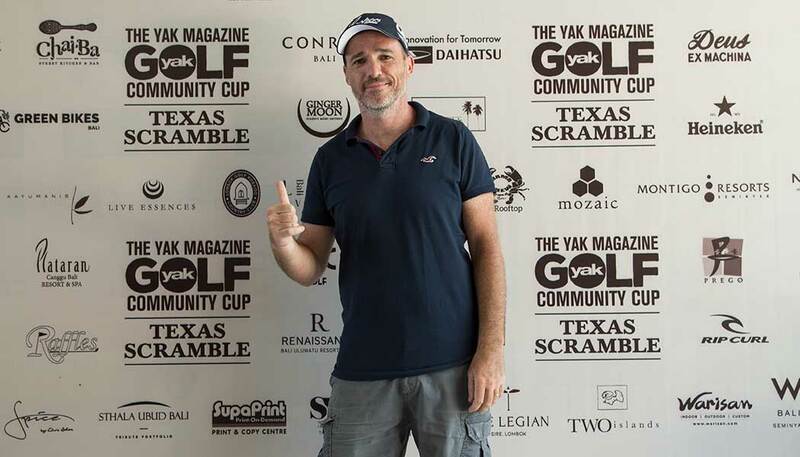 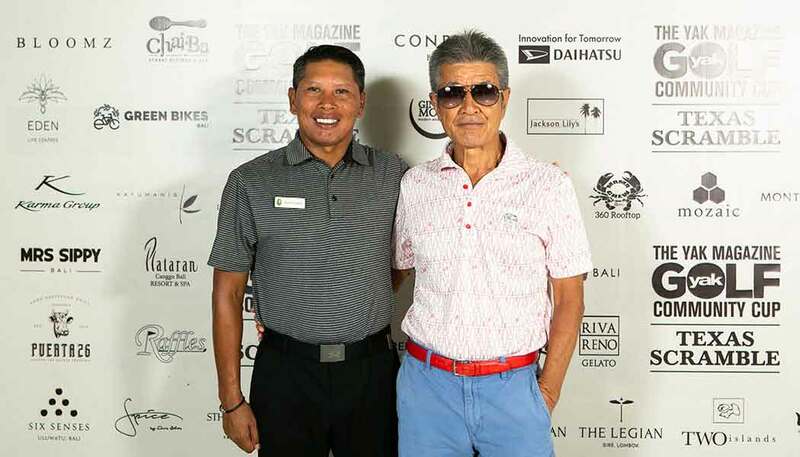 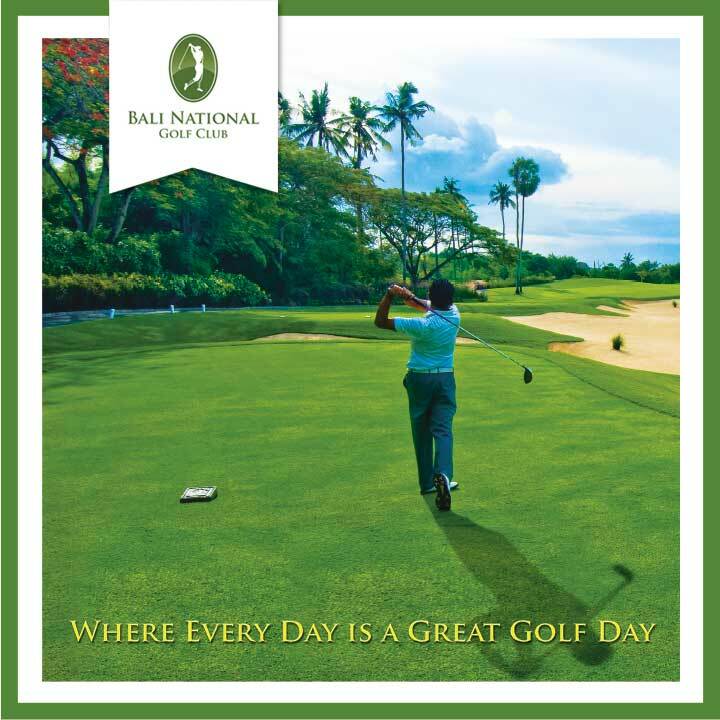 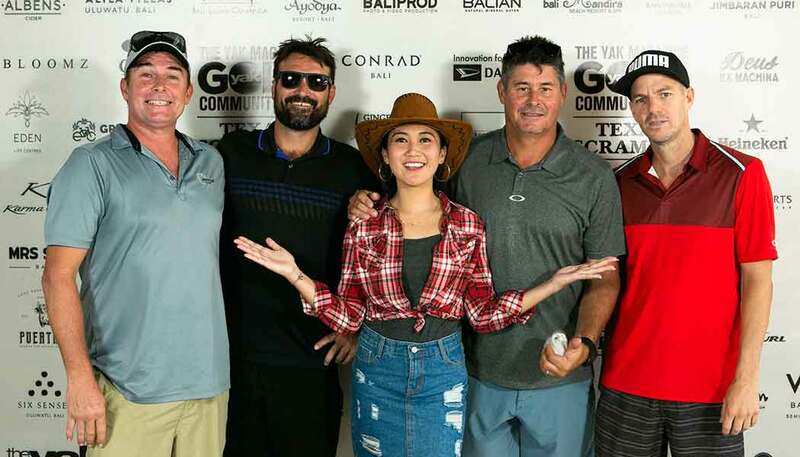 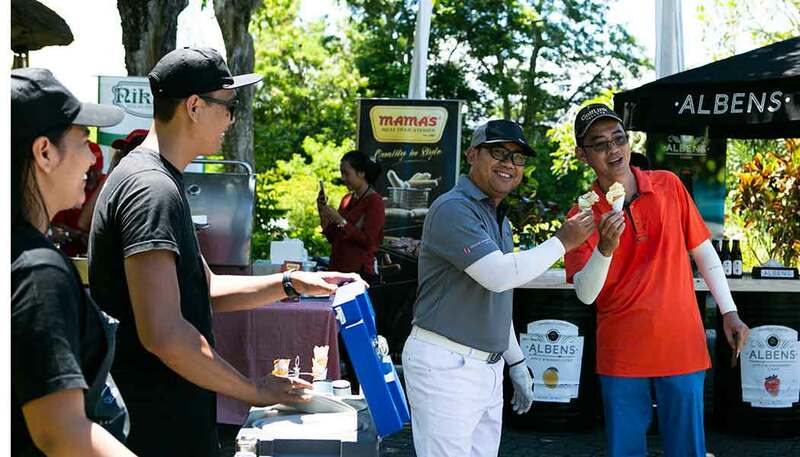 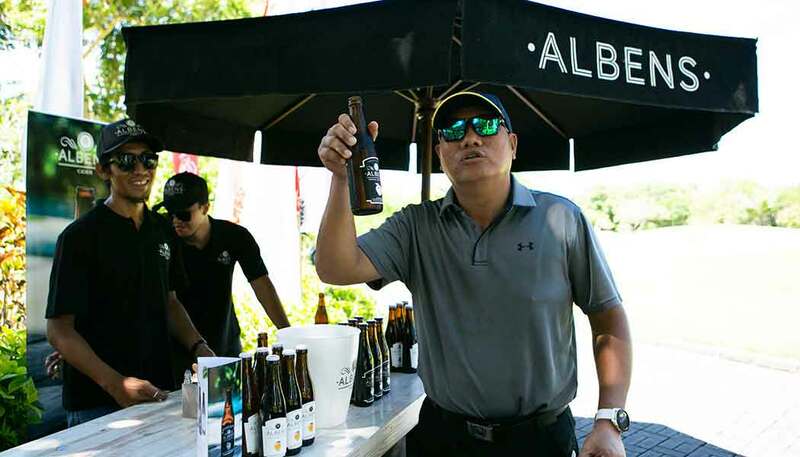 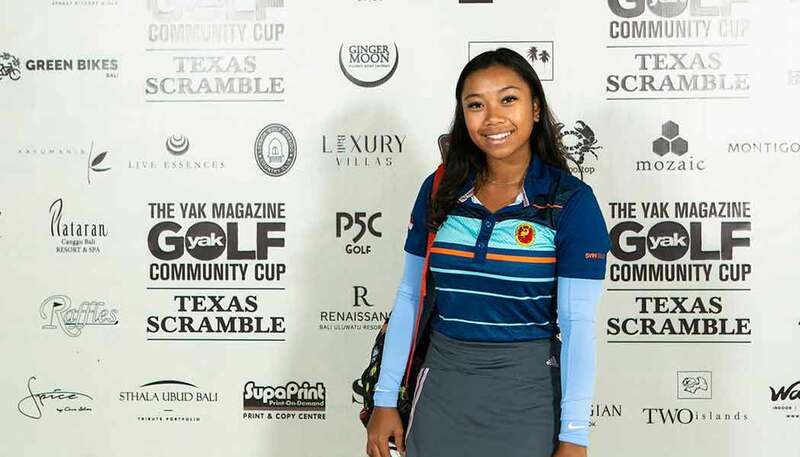 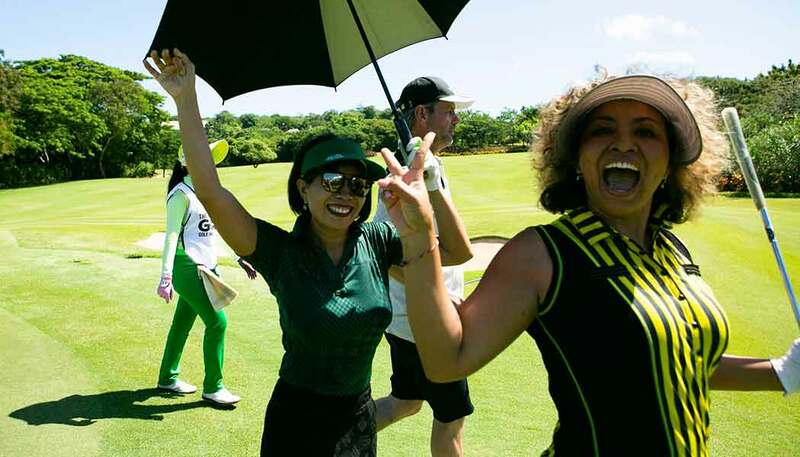 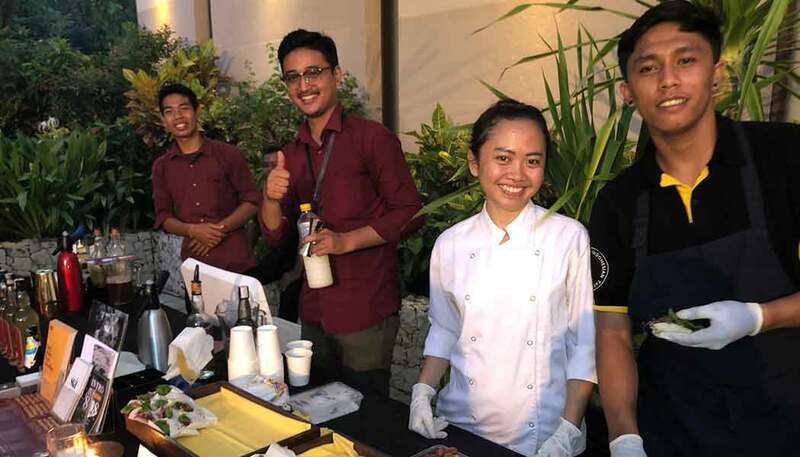 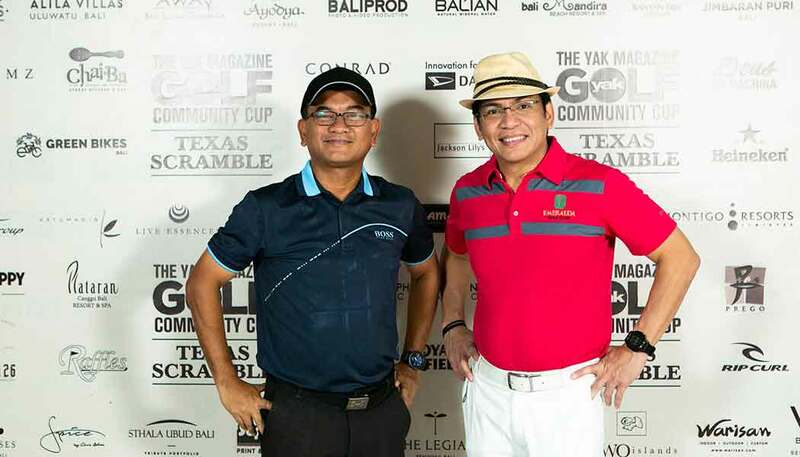 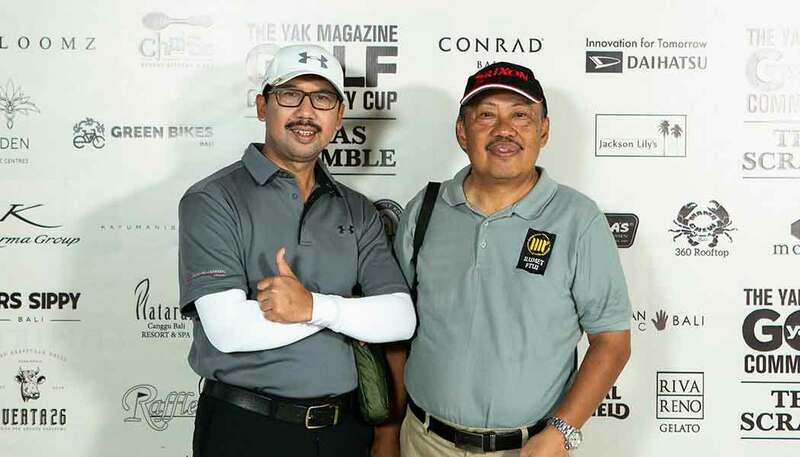 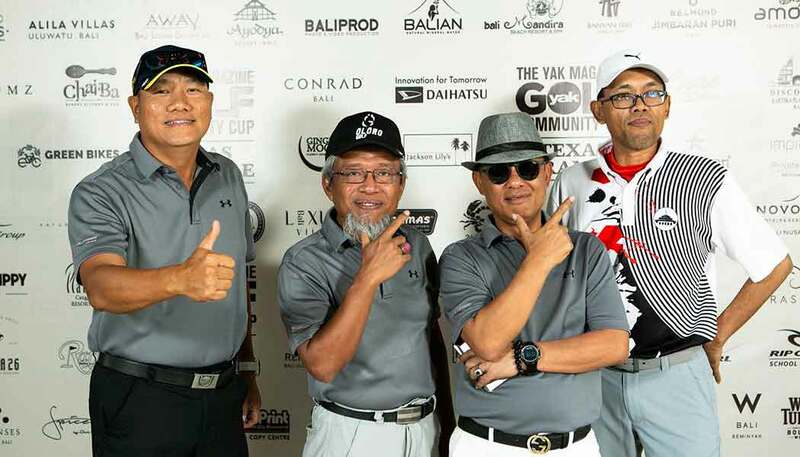 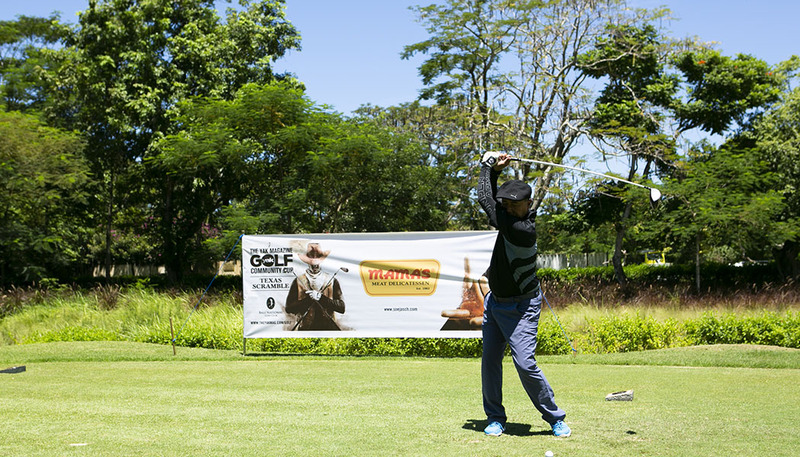 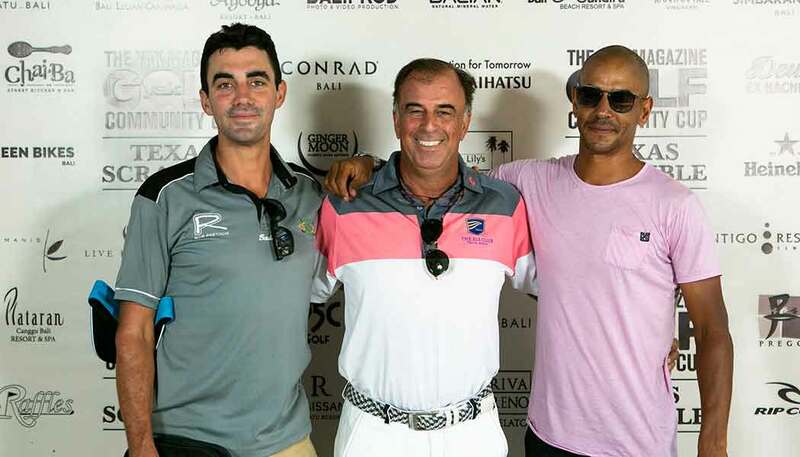 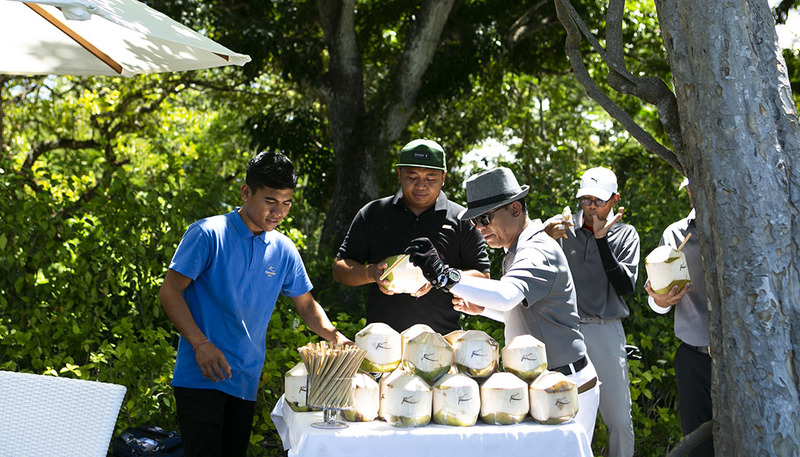 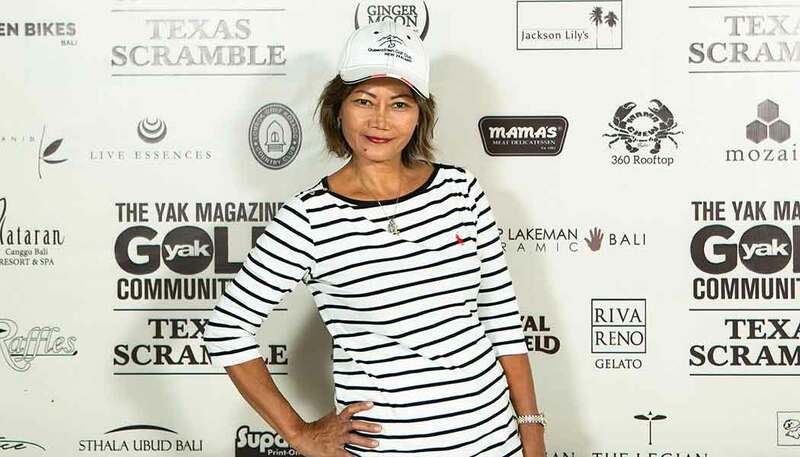 A total of 88 golfers joined us for the 8th Yak Golf Community Cup at Bali National Golf Course on March 30, 2019. 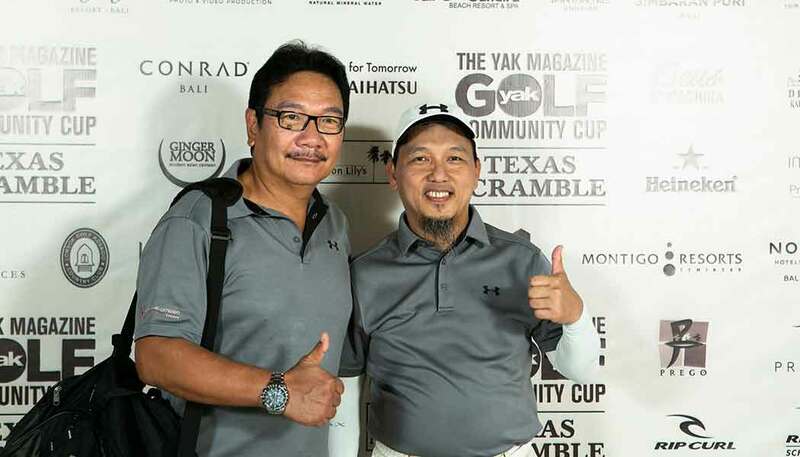 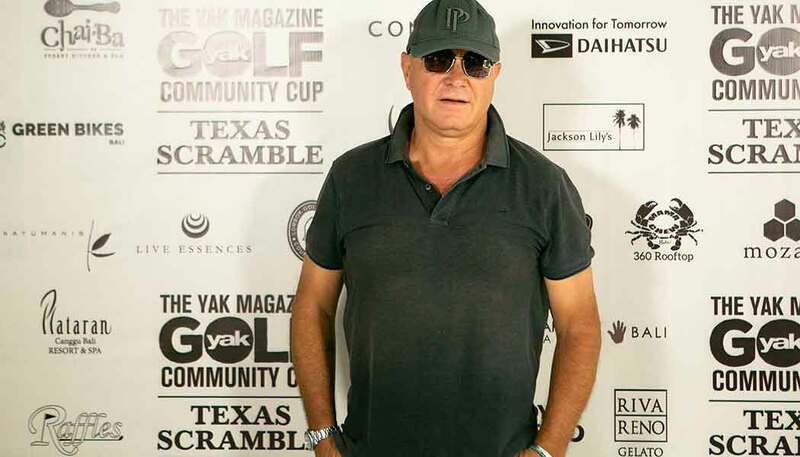 Pairings were in teams of two for this Ambrose rules Texas Scramble, a fun format that sees both golfers tee off, picking the best ball after that and onwards to the hole. 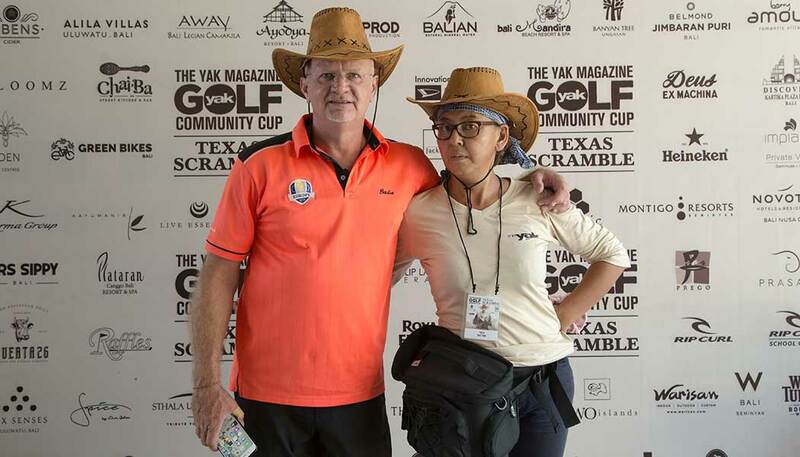 Meet and greet with the BNGC cowgirl. 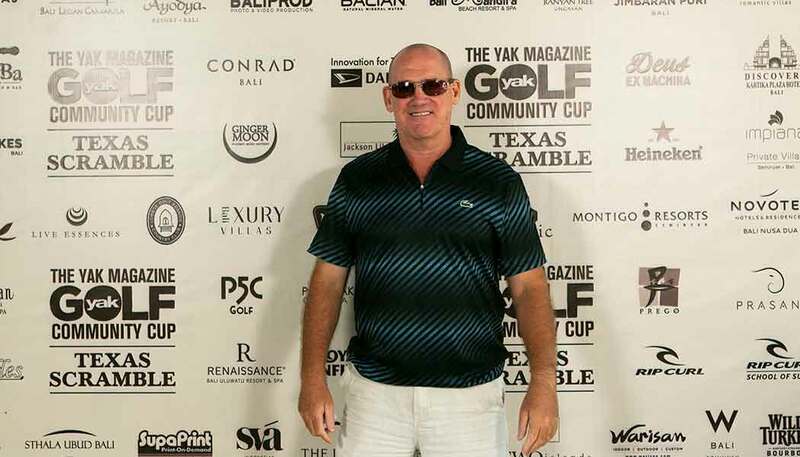 Neil Power of XP Properties. 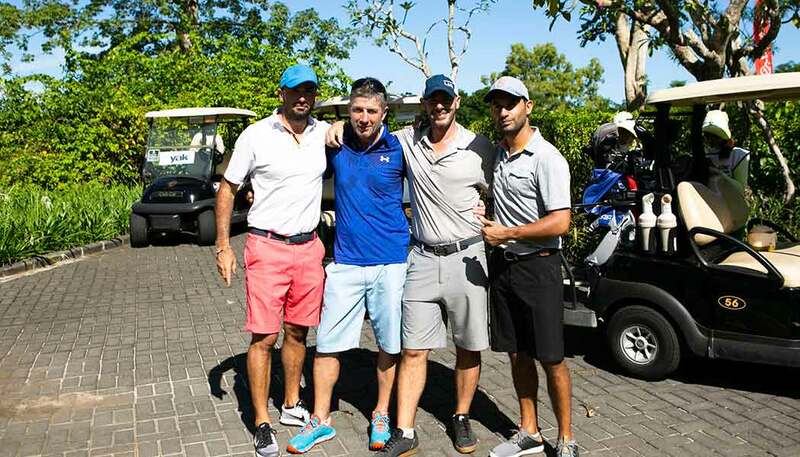 Charley, friend and Idris at the entrance. 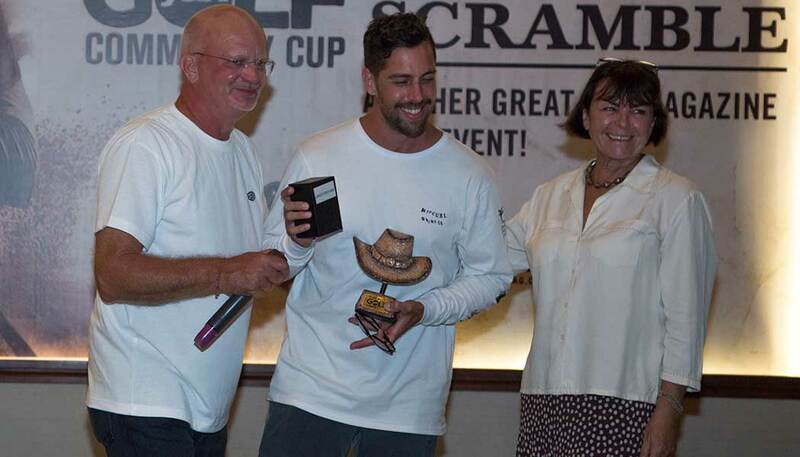 Champion Meva Schimdt scored a gross 66 (read it and weep). 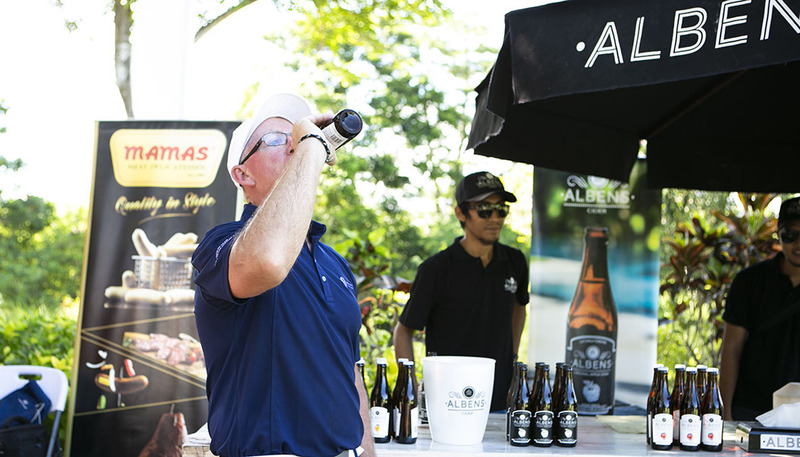 Players arrived to register and were immediately pointed towards the Door Prize table, where we gave away 60 plus prizes of F&B vouchers, free hats, t-shirts and more before heading to the terrace for our now legendary chipping competition onto the 18th green. 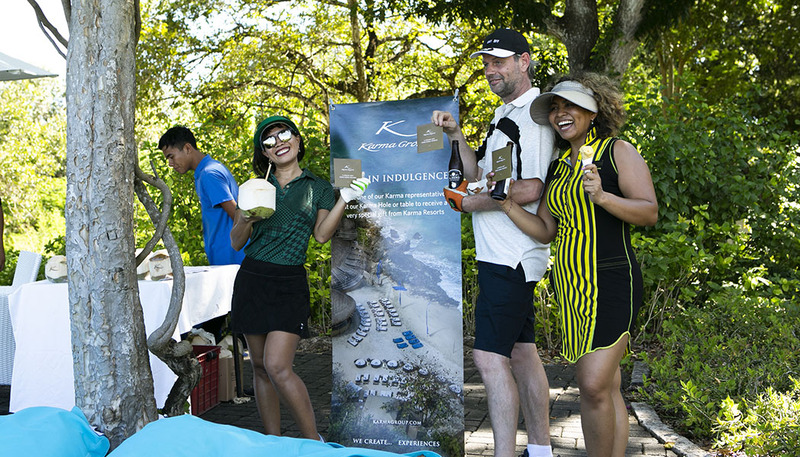 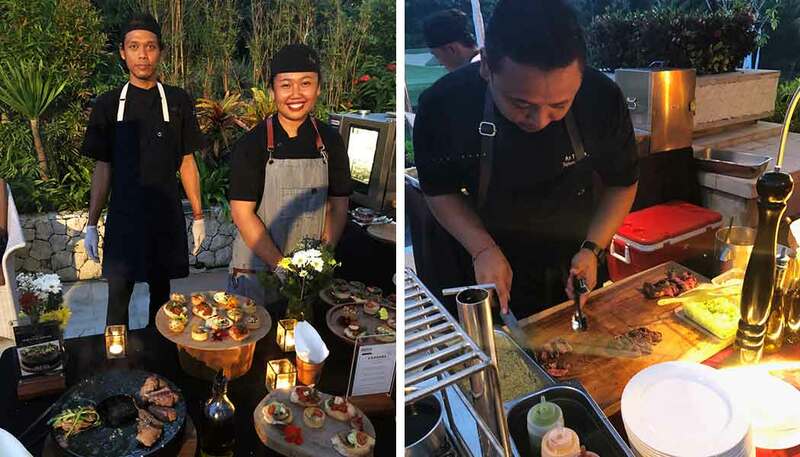 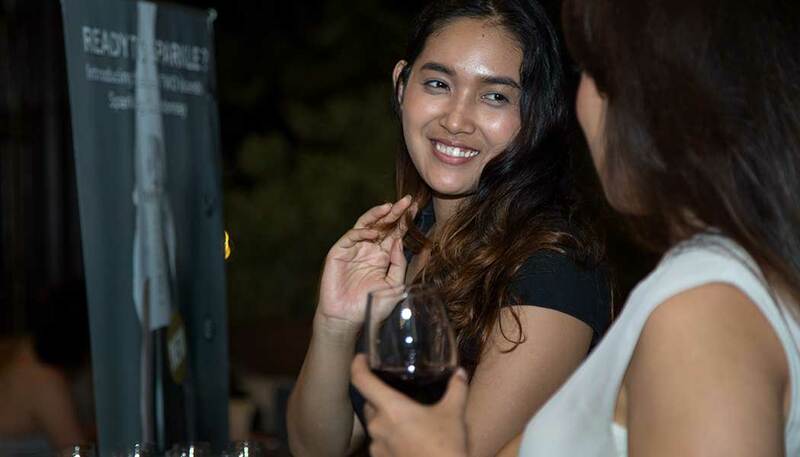 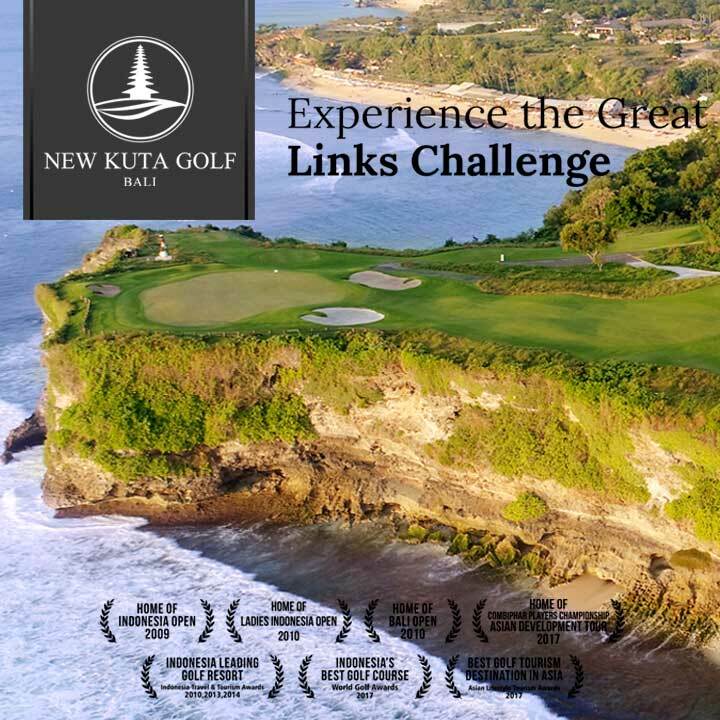 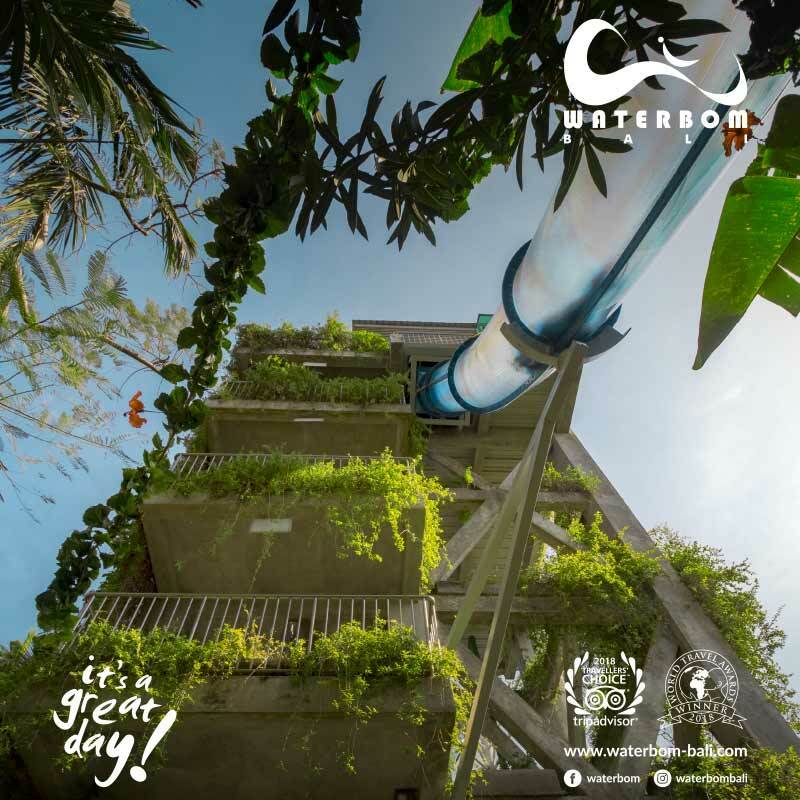 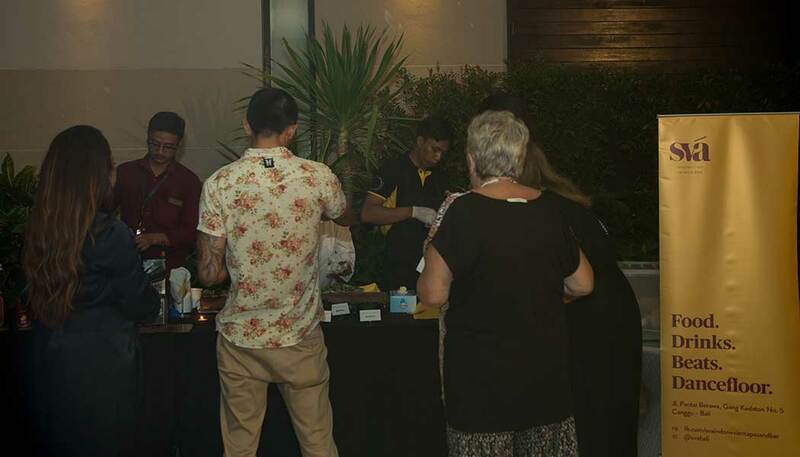 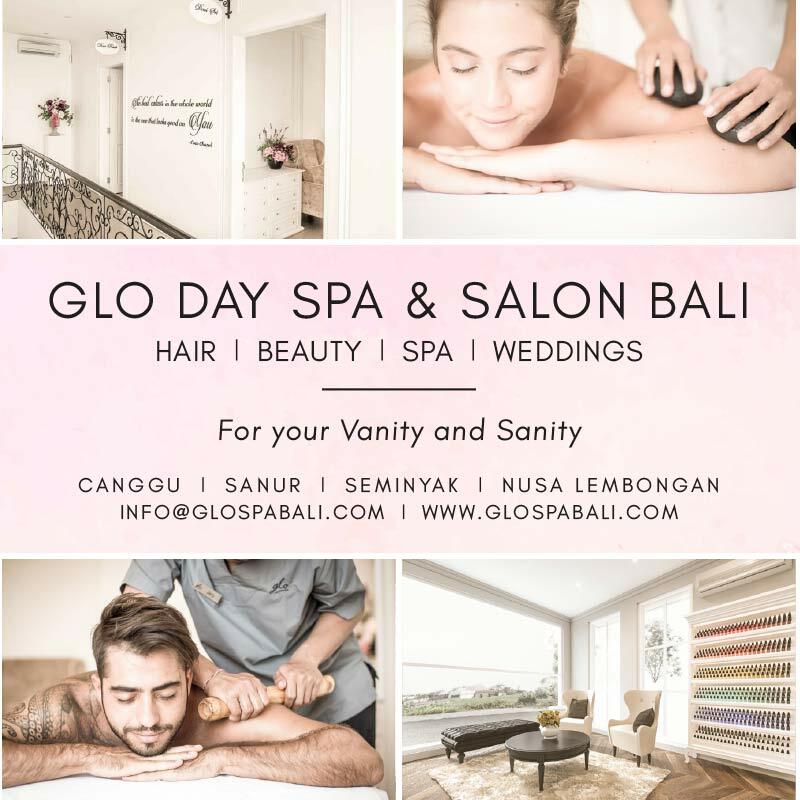 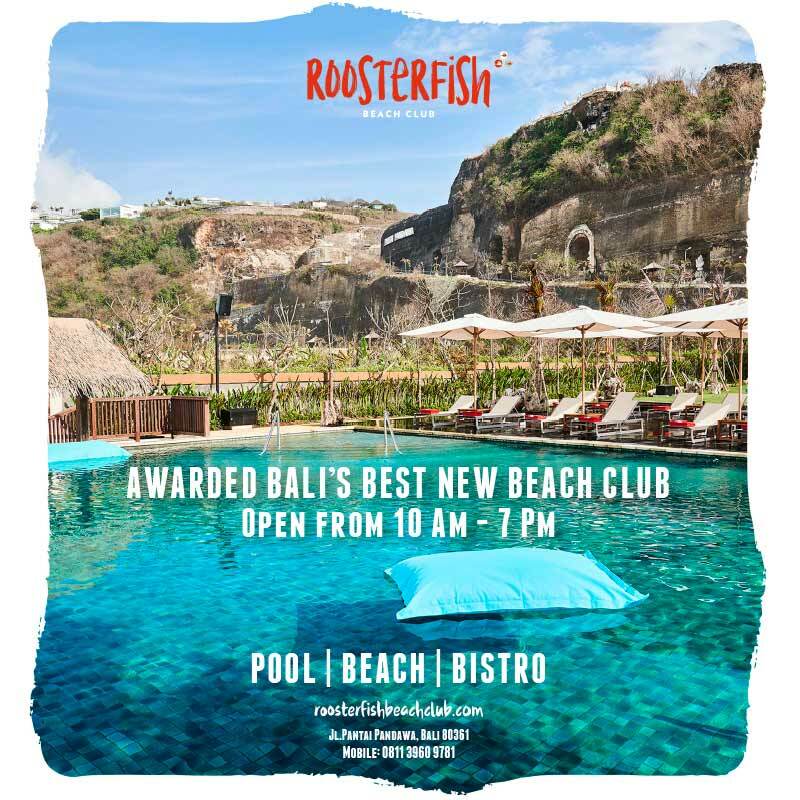 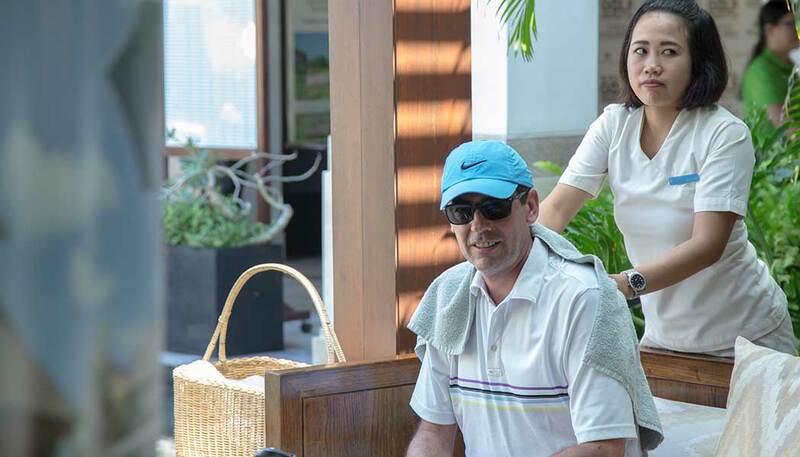 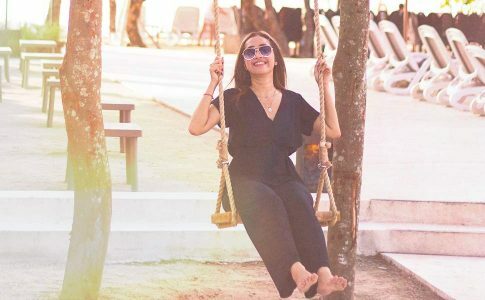 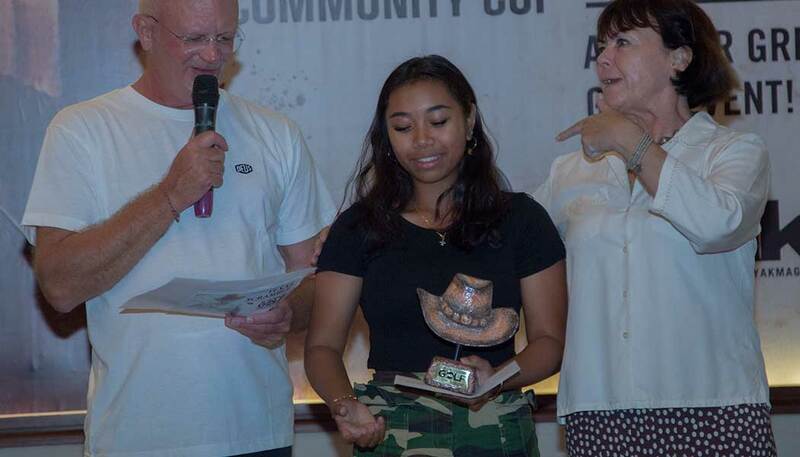 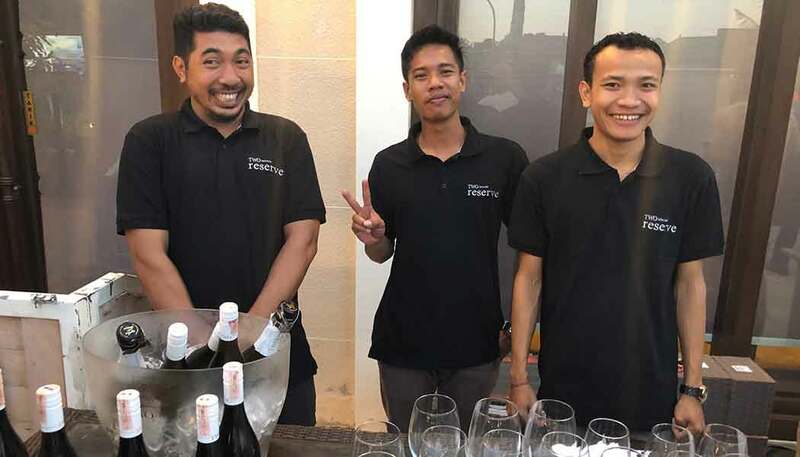 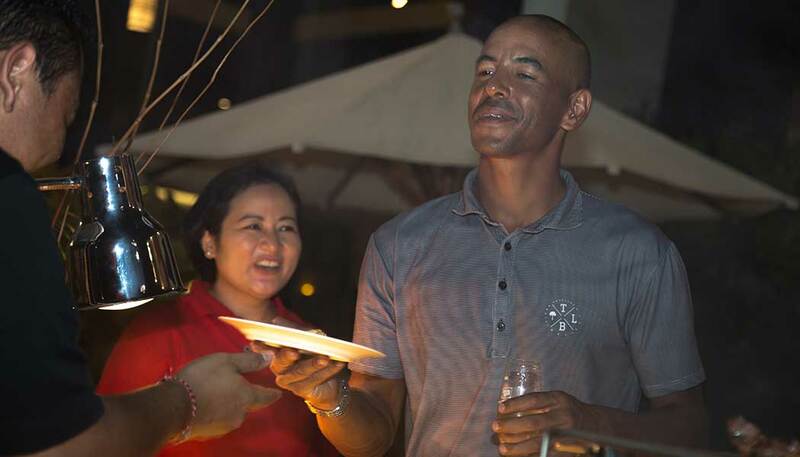 Energized by jamu from Live Essences, they did their best to get closest to the pin with the winner walking away with a one night stay experience at Plataran Canggu Resorts & Spa. 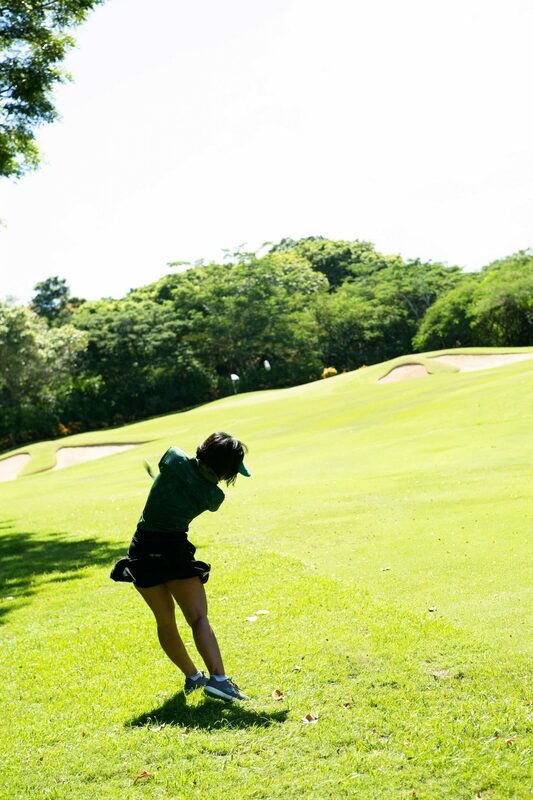 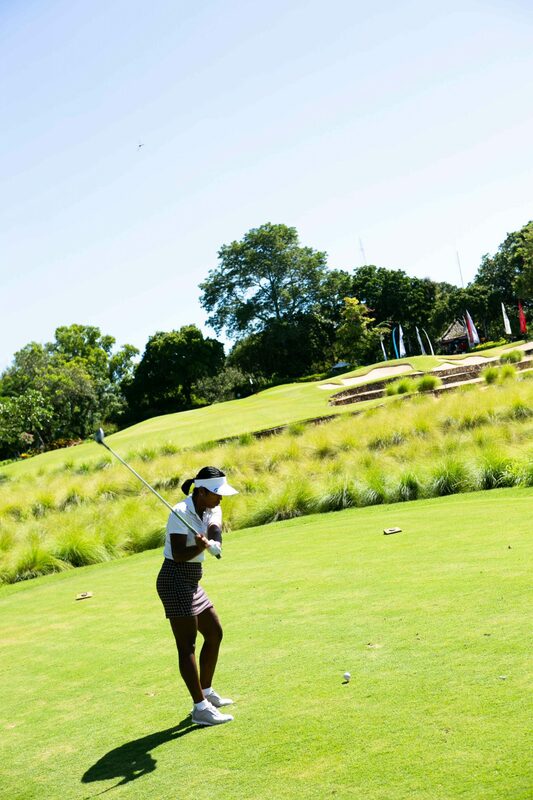 BNGC’s Yuni attempts to down a long one. 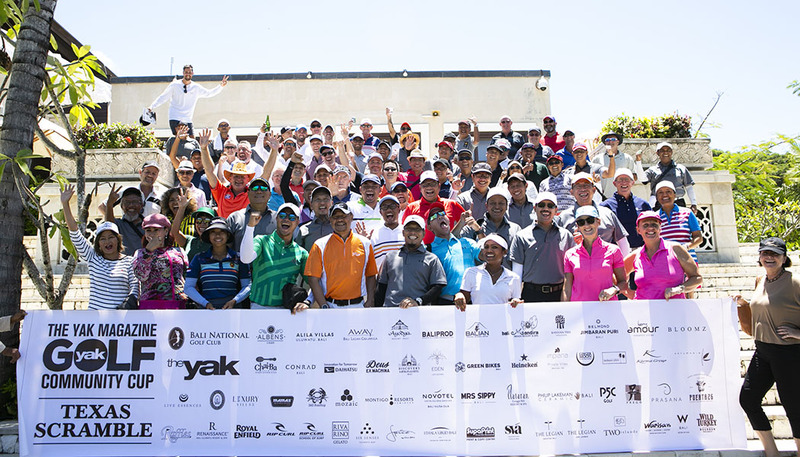 After a team photo the action moved to the car park where buggies awaited our players as well as BNGC General Manager Mark Holland who ran through the rules of the day before we headed off to our allotted tees. 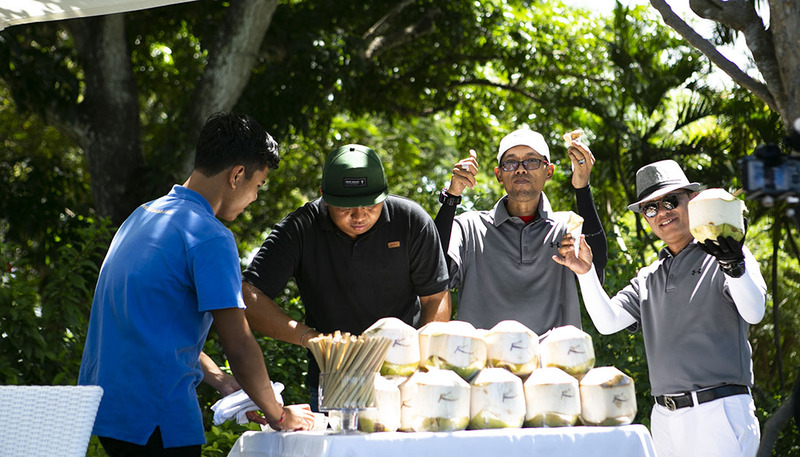 Play started at 12:30 with participants refreshing themselves at both halfway houses along the way, courtesy of Mama’s Sausages, Albens Cider and Karma Kandara, who provided coconuts and bean bags for a sit down. 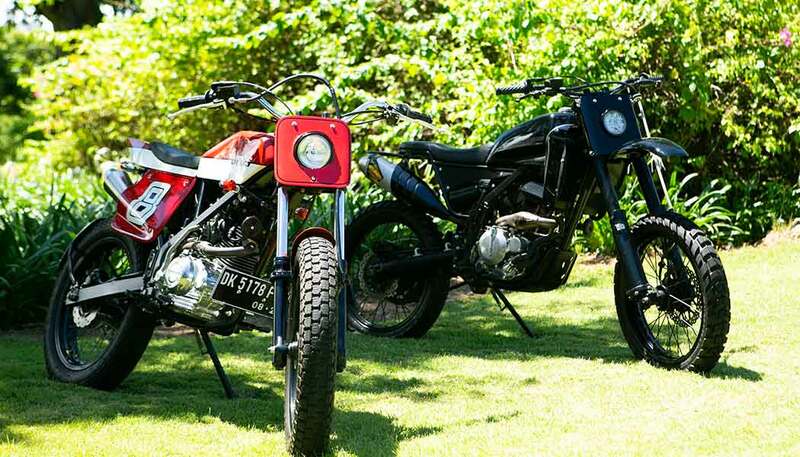 Deus motocycles added some eye candy to hole number 6. 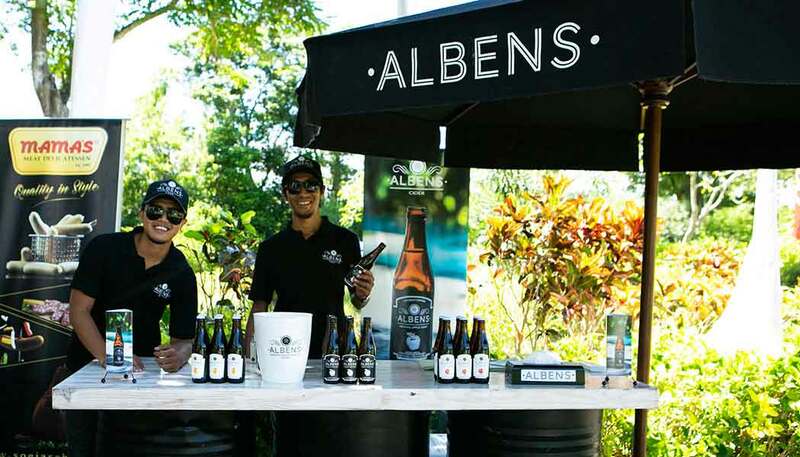 An Albens moment on the 4th. 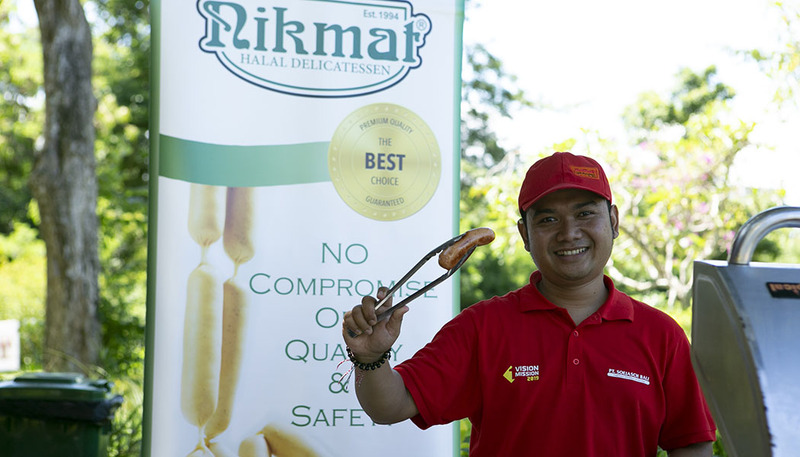 Gorgeous Mama’s sausages, in so many ways a winner. 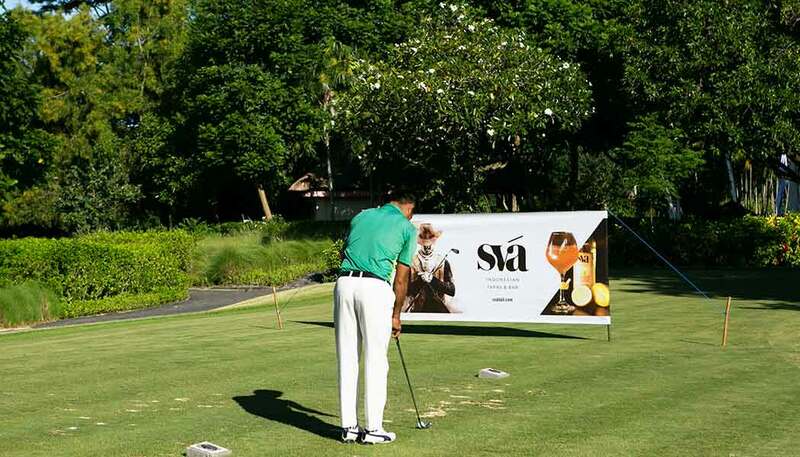 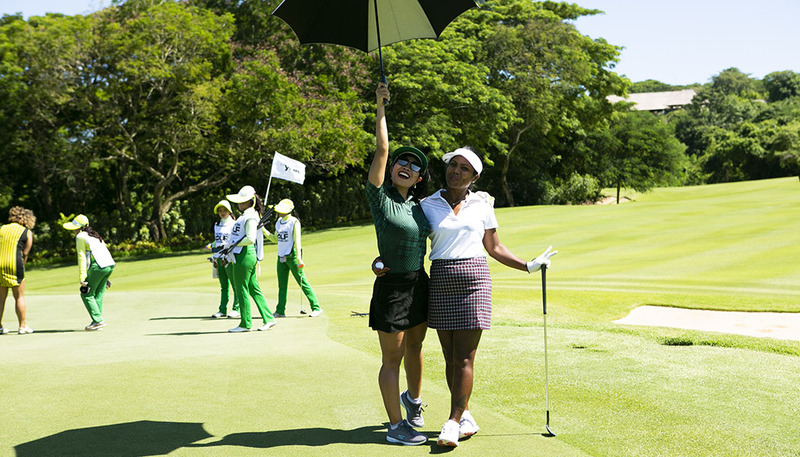 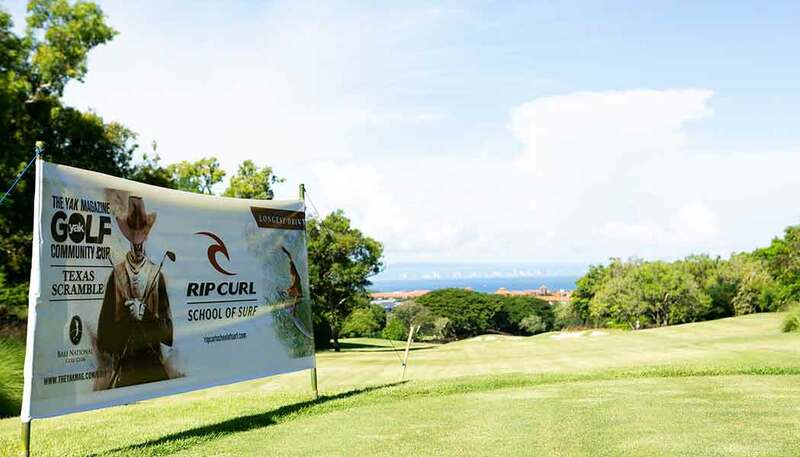 Each hole was marvelously adorned in banners created by Supaprint, with prizes going for nearest the pin on five holes and nearest the line on one. 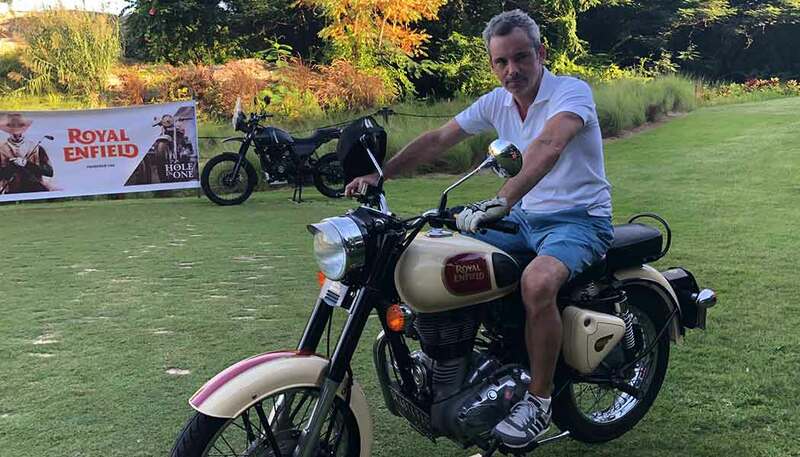 A Hole In One prize of a Royal Enfield motorcycle sat unclaimed on Hole 9, much to the sadness of each player. 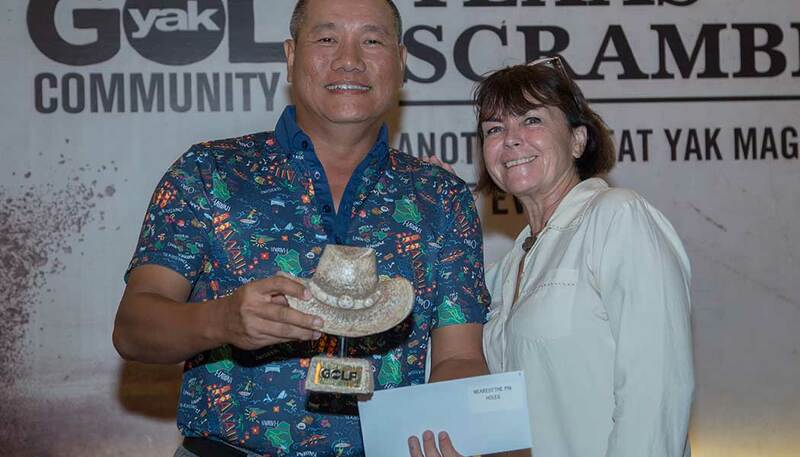 What a great prize that would have been! 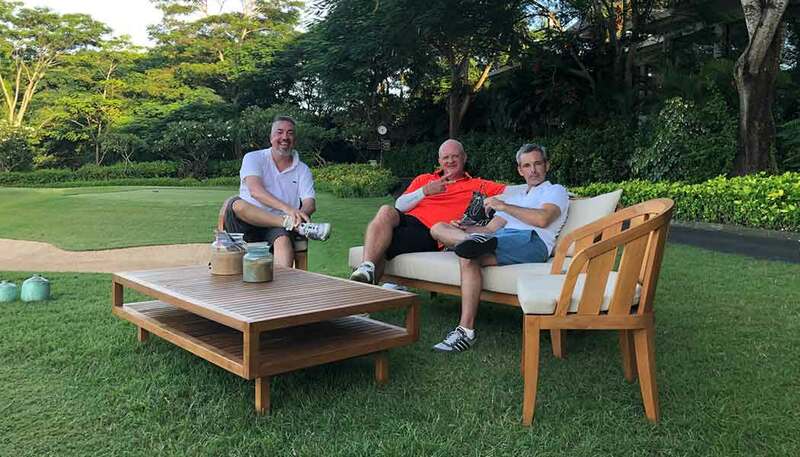 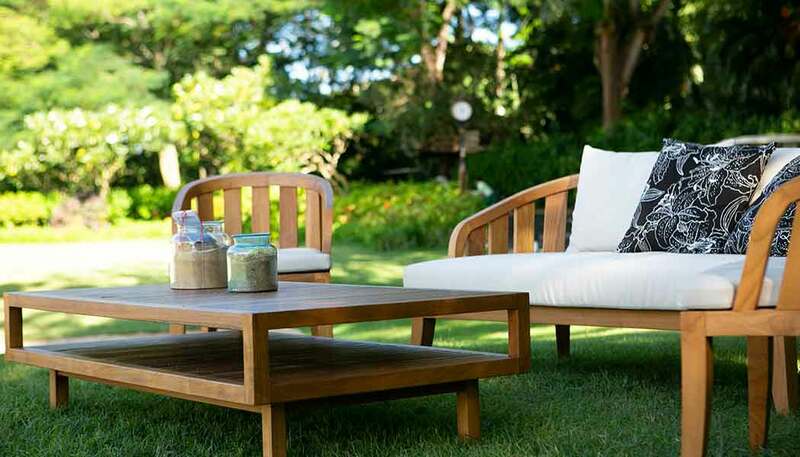 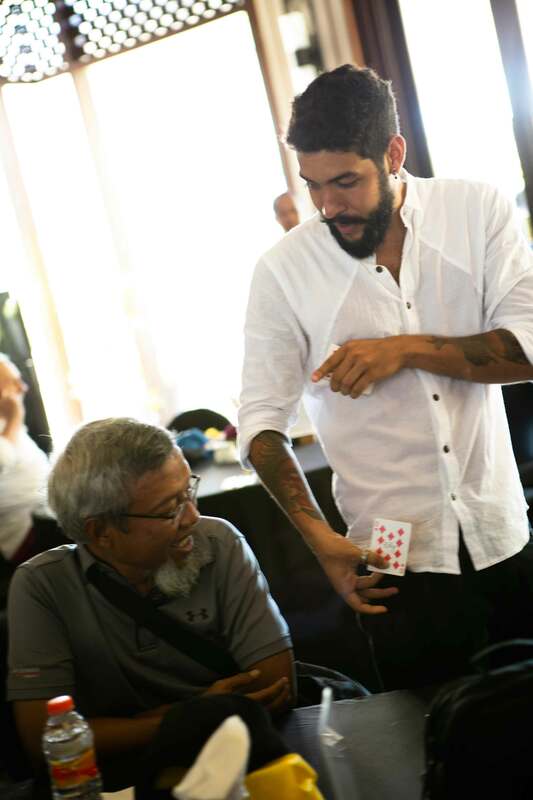 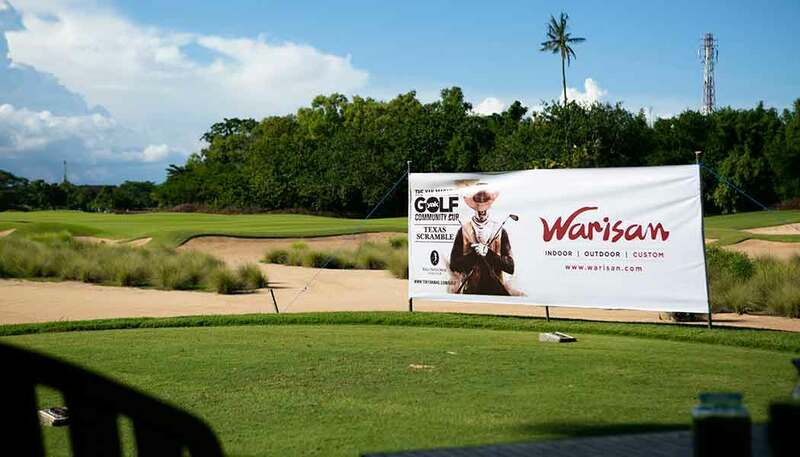 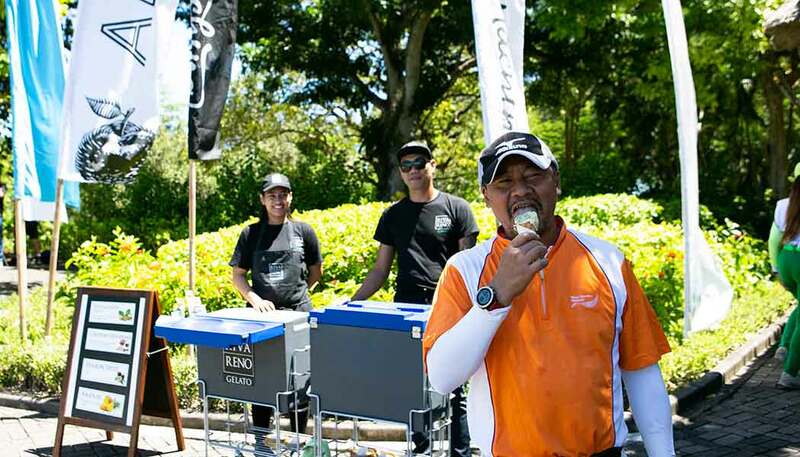 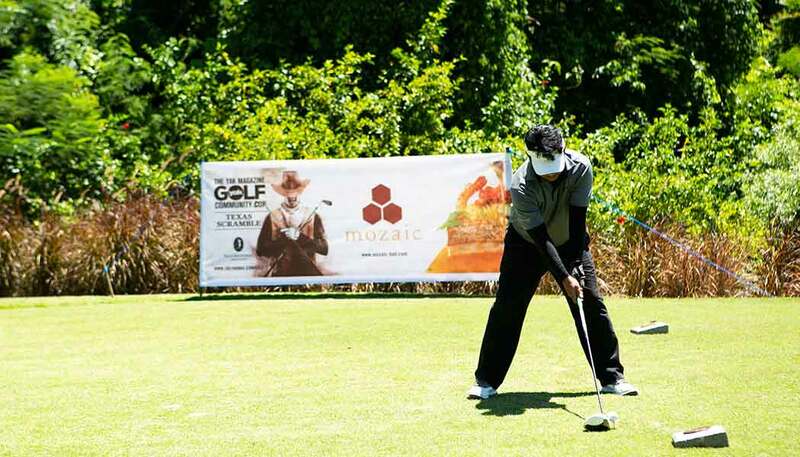 Hole number 10 was sponsored by the fabulous furniture empire Warisan who provided chairs and table set up for a quick sit down in the shade. 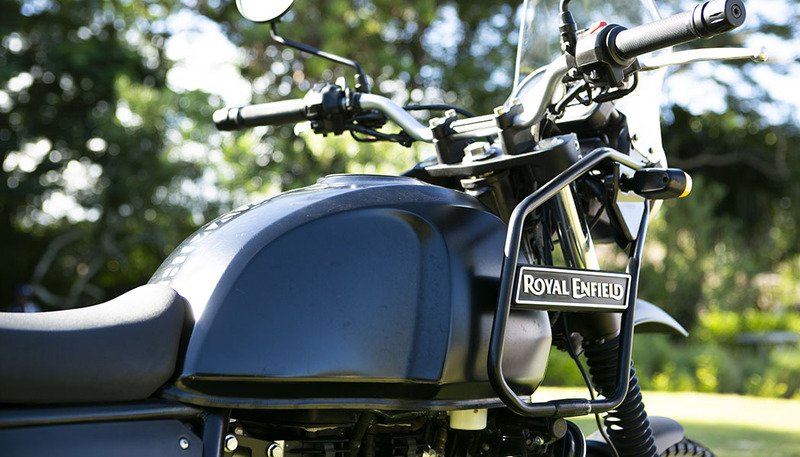 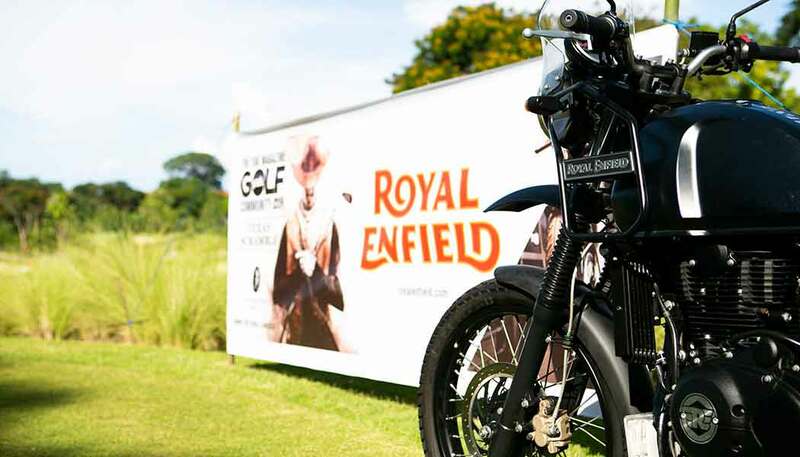 Hole in one prize, by Royal Enfield. 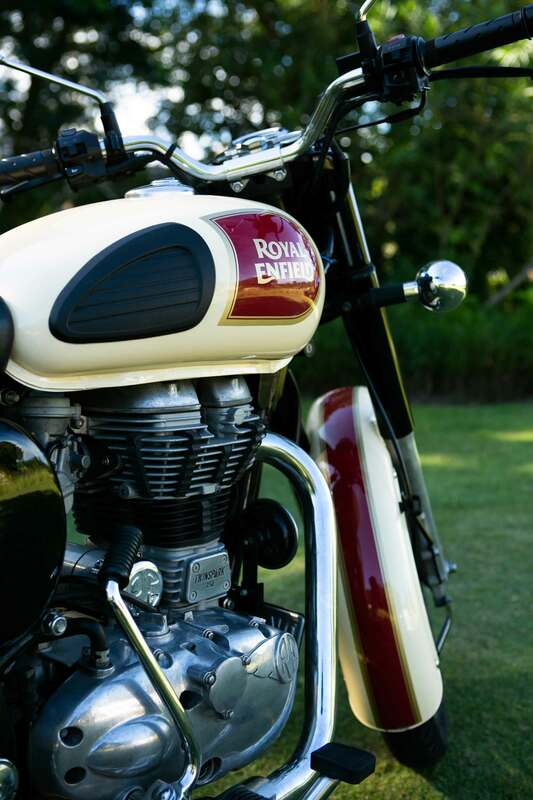 The Himalayan by Royal Enfield. 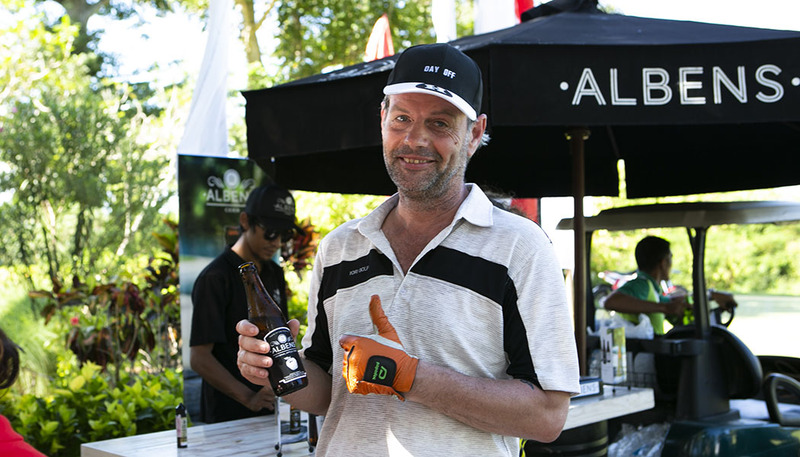 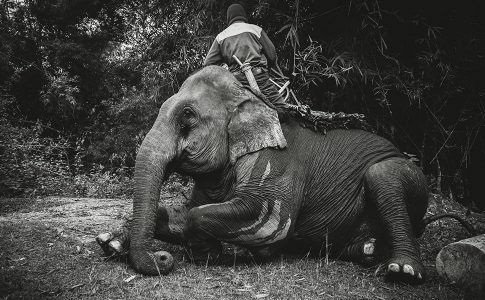 Richard Colin aka Mr Two Islands wines astride his beast. 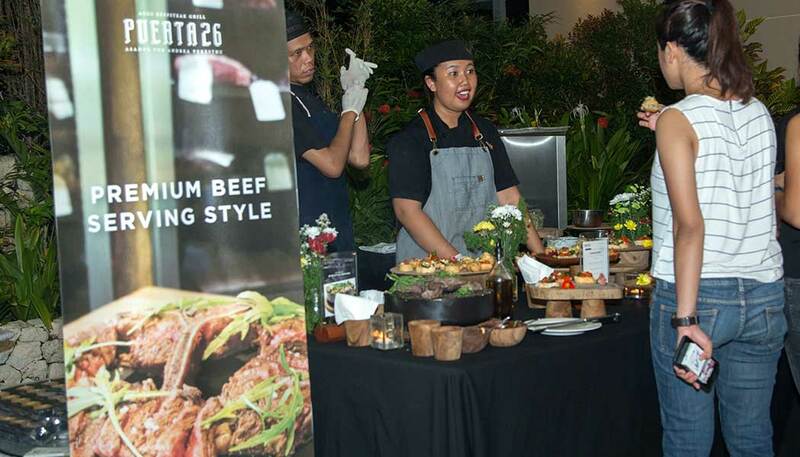 Ultimately play moved to the terrace post match where sponsors provided a fantastic line up of food and beverages from Heineken beer, Wild Turkey whiskey, Two Islands wines, cocktails by SVA and wagyu beef by The Conrad, great canapes by Mozaic, SVA and Puerta26 from Sanur. 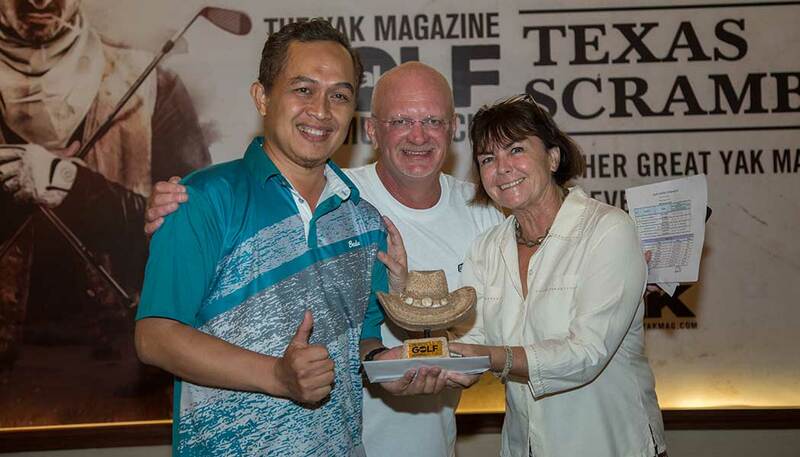 Onwards to the awards ceremony, where we gave away a further 14 top prizes to the winners including a fabulous Lakeman Ceramics trophy in the style of the Texan day. 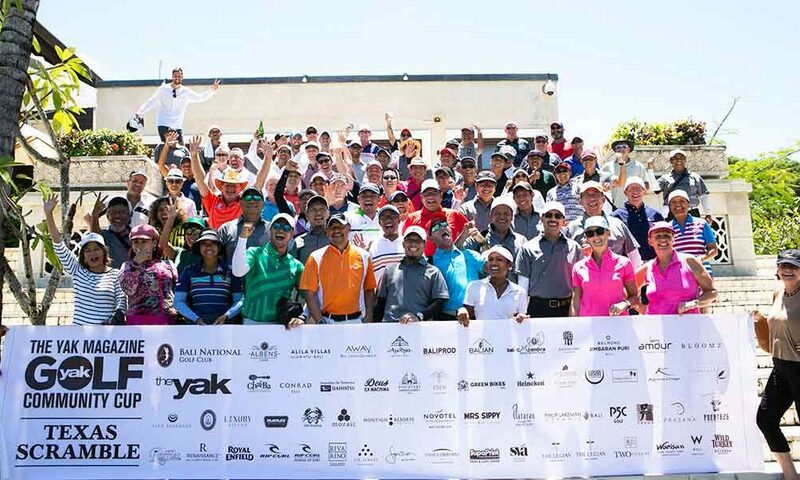 With so much great support and such a fun day, we can’t wait for a rerun in July for the second round this year. 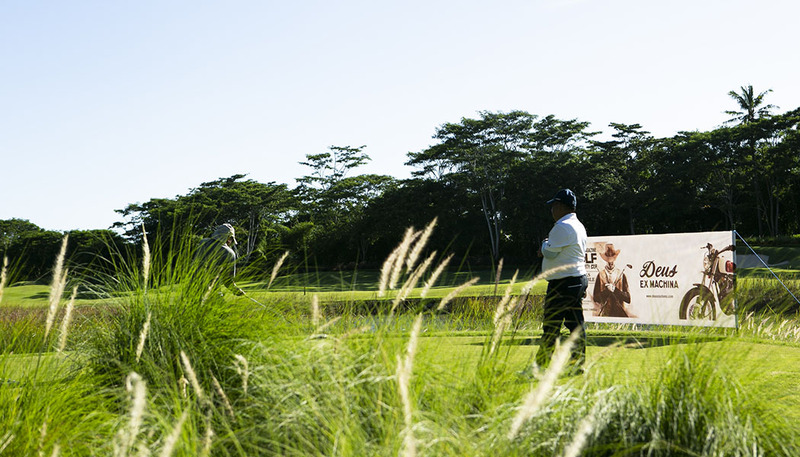 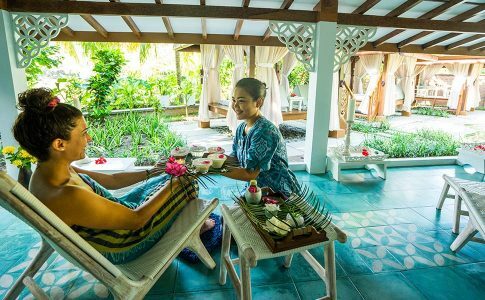 A relaxing moment at the Warisan hole. 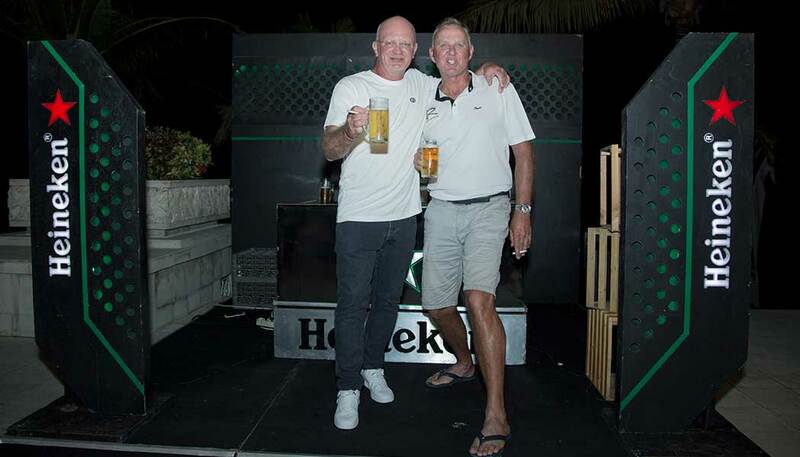 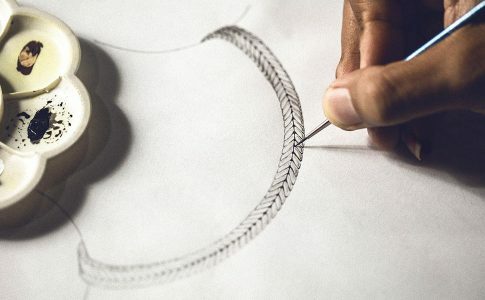 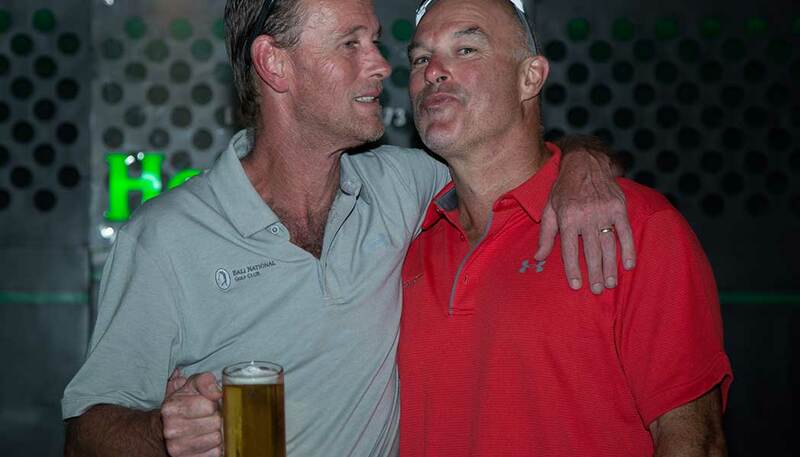 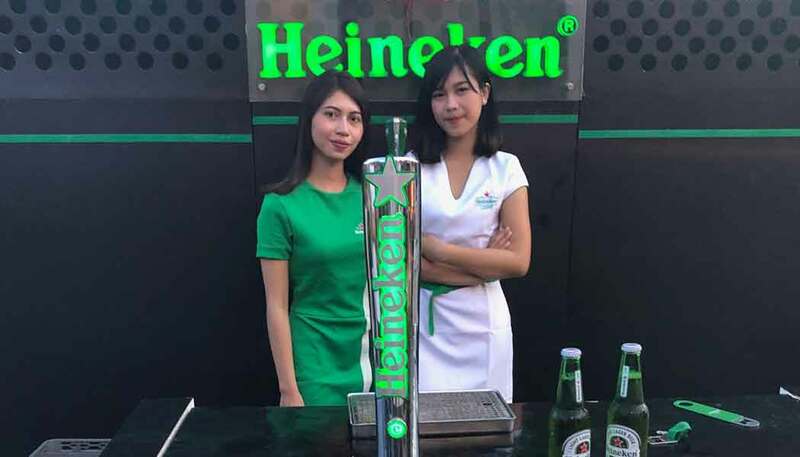 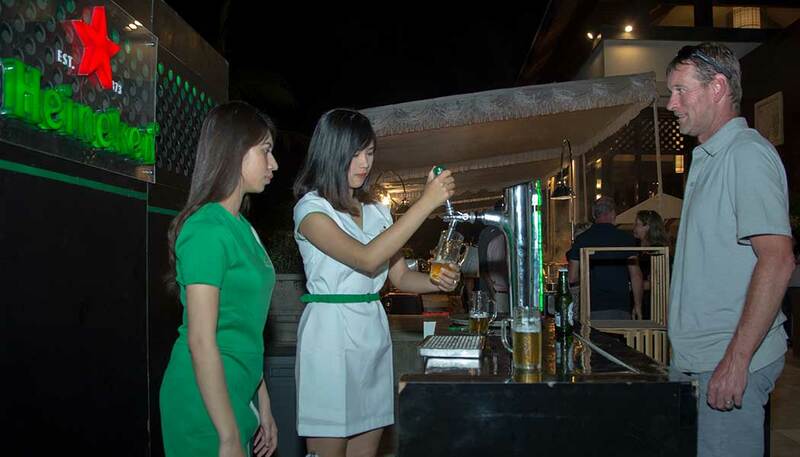 Heineken – always a winner. 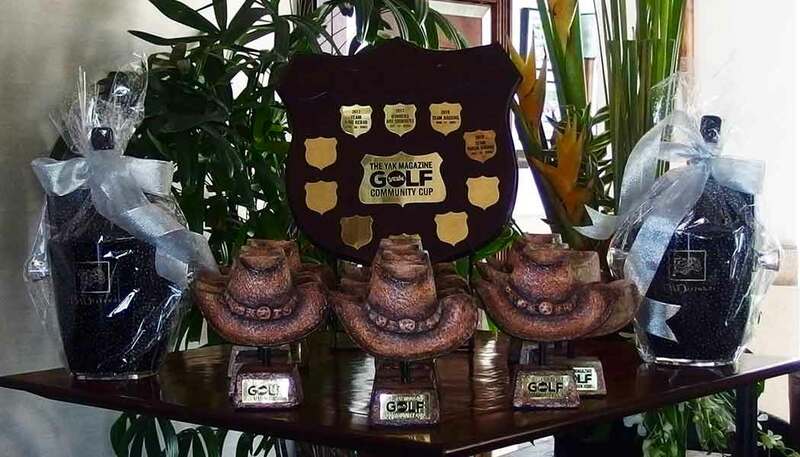 Amazing trophies by Lakeman Ceramics. 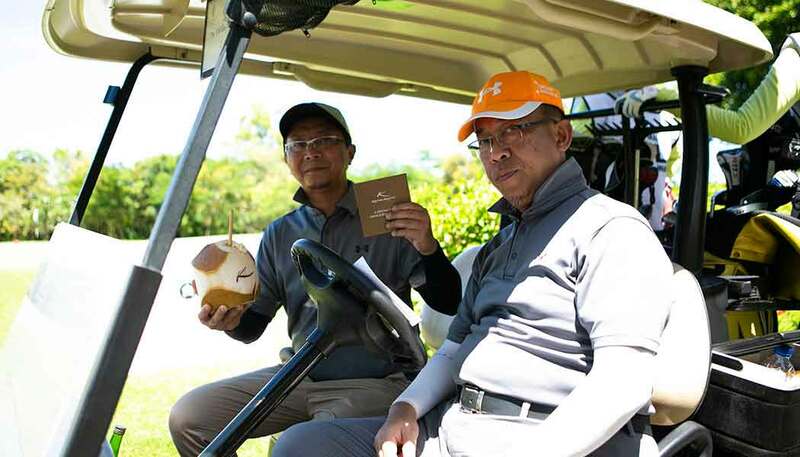 Two Islands Reserve. 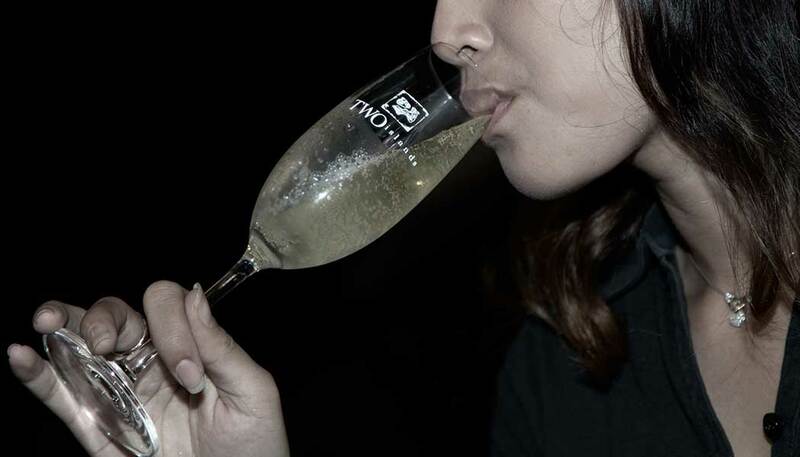 Oh yes. 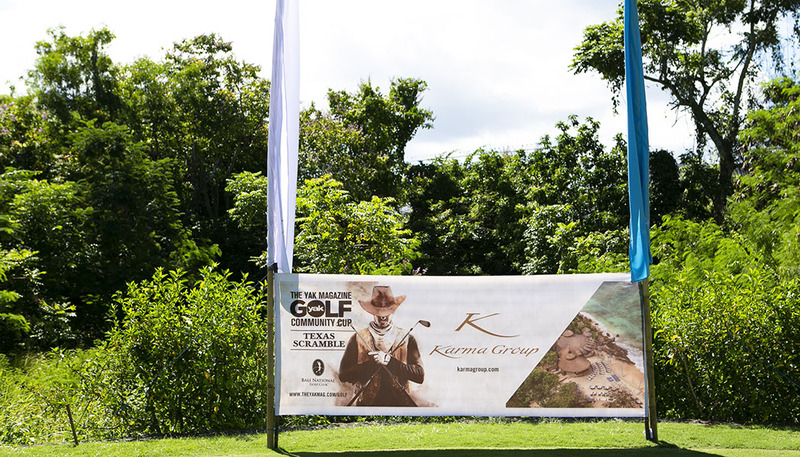 Puerta 26, left and Conrad Hotels, right.